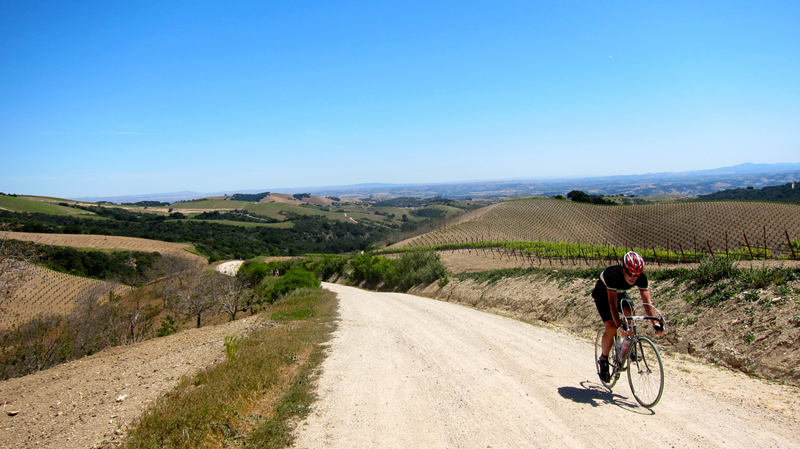 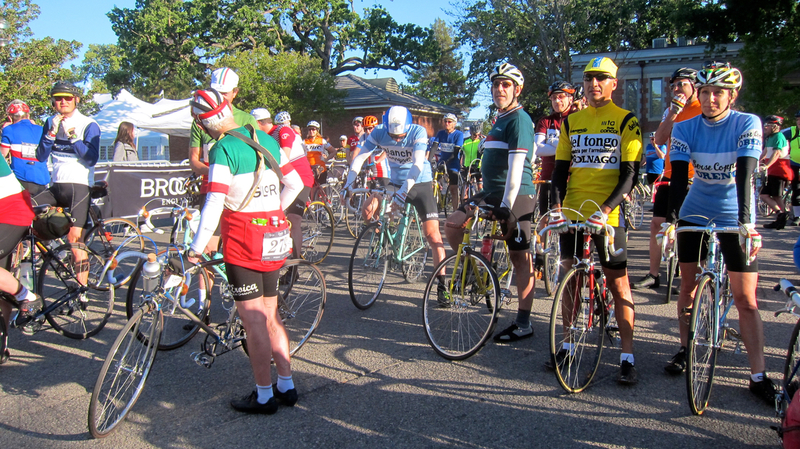 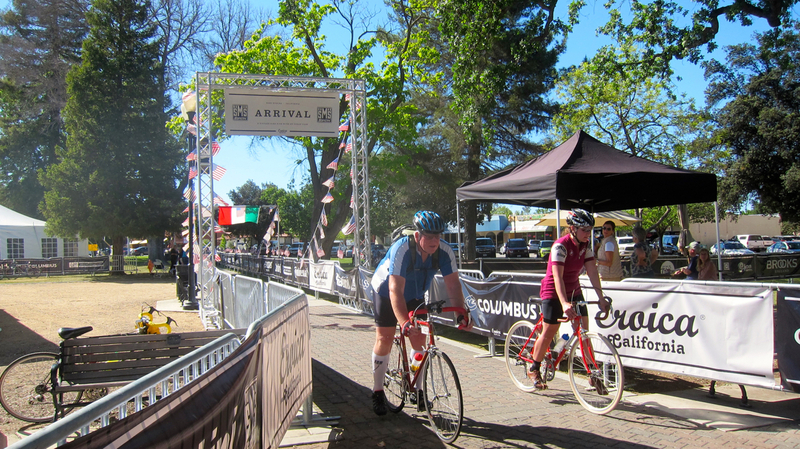 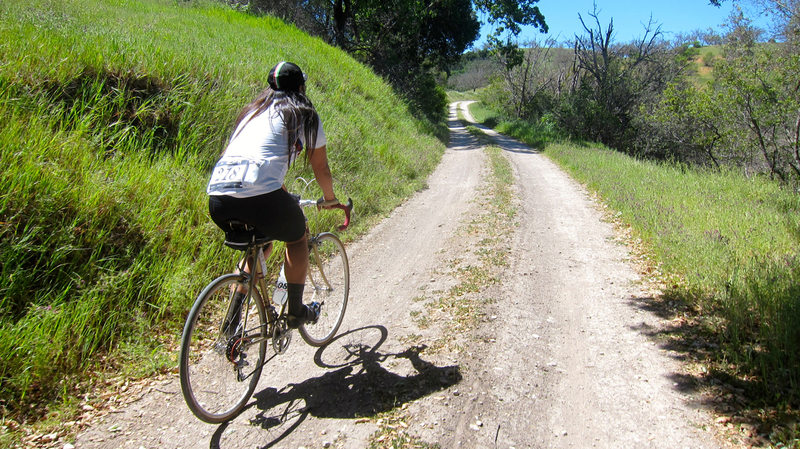 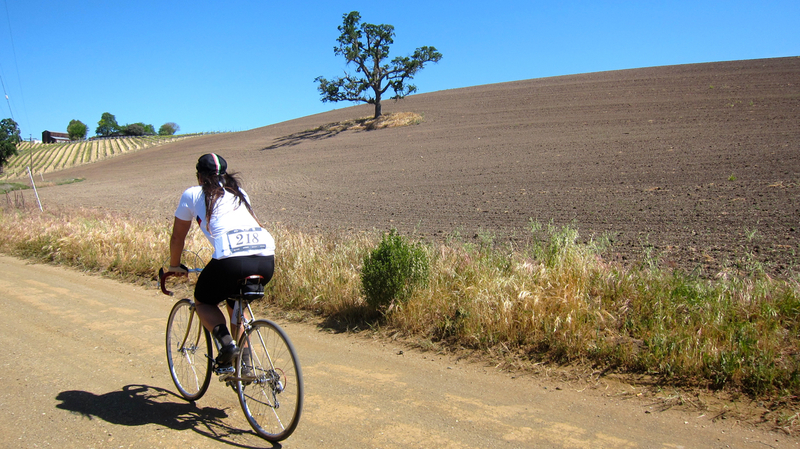 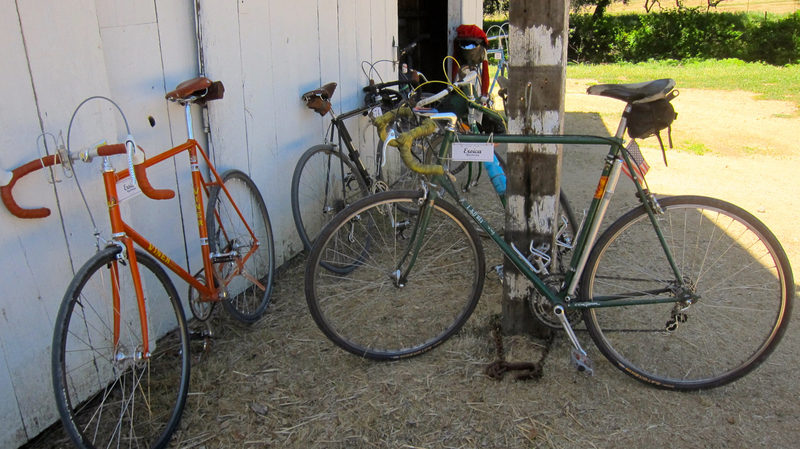 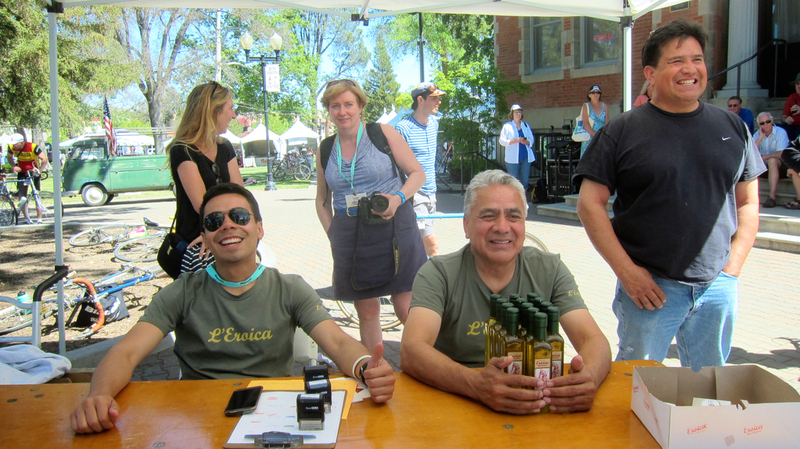 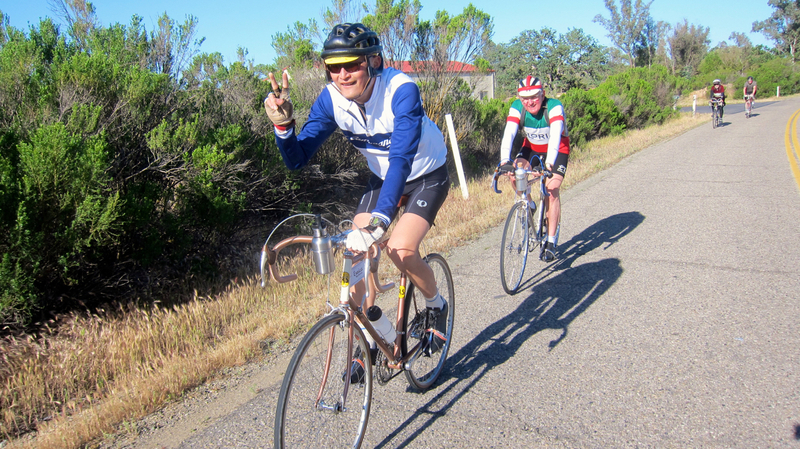 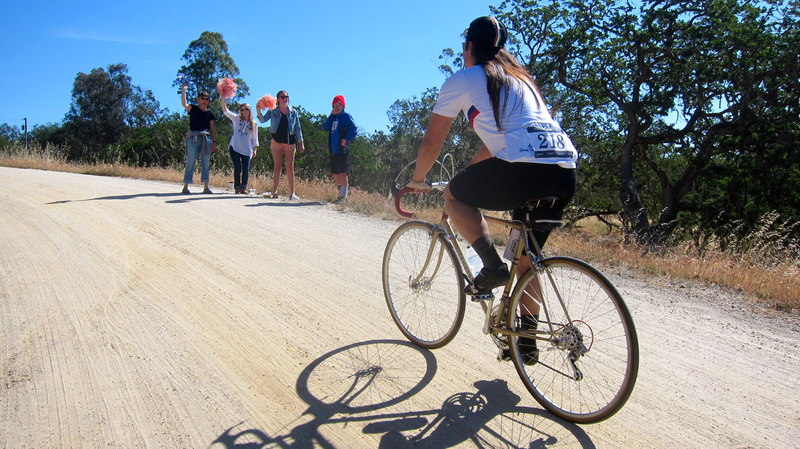 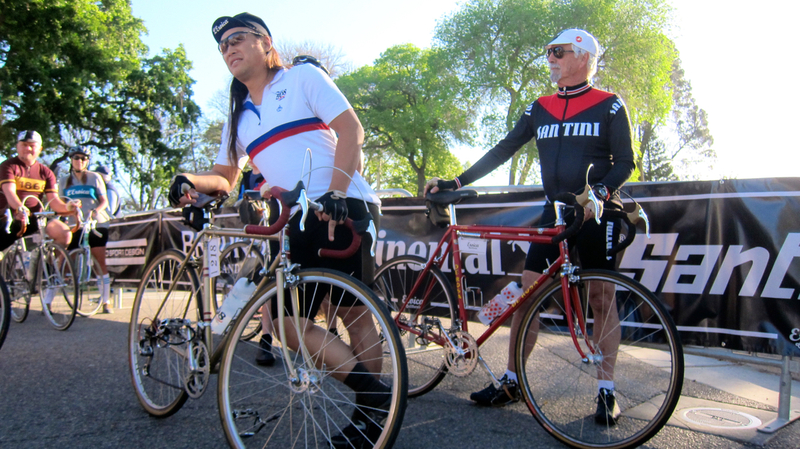 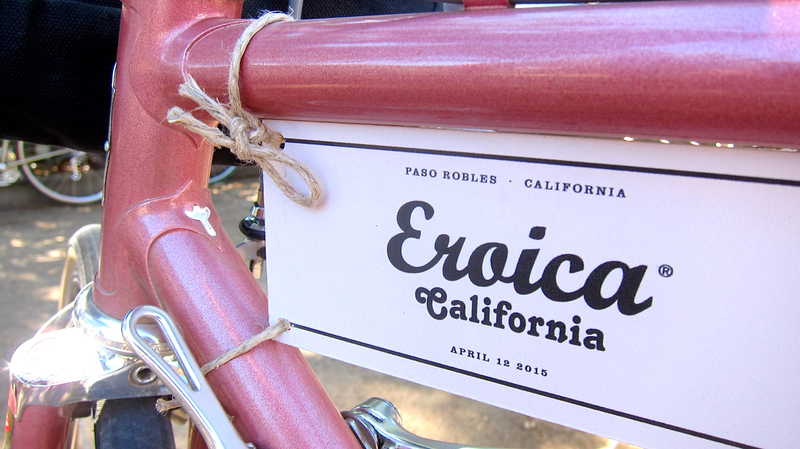 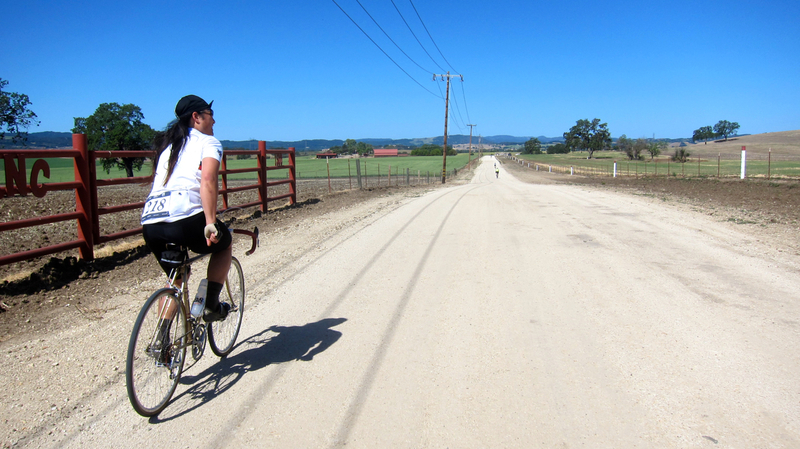 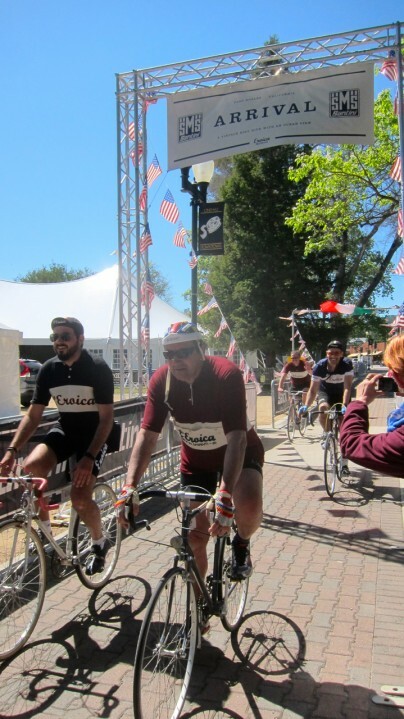 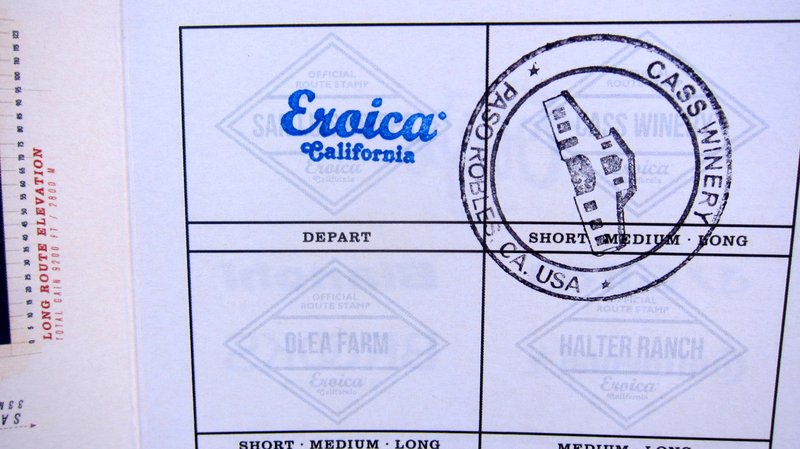 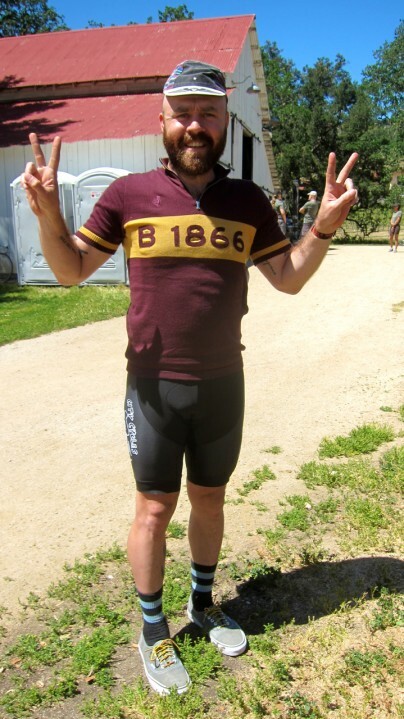 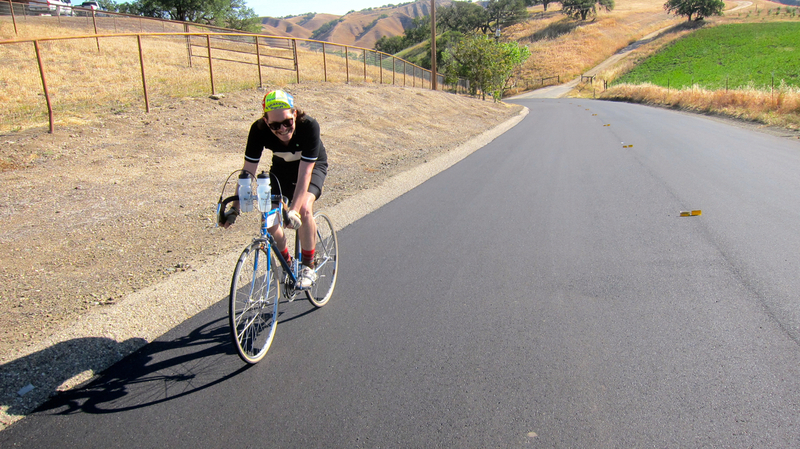 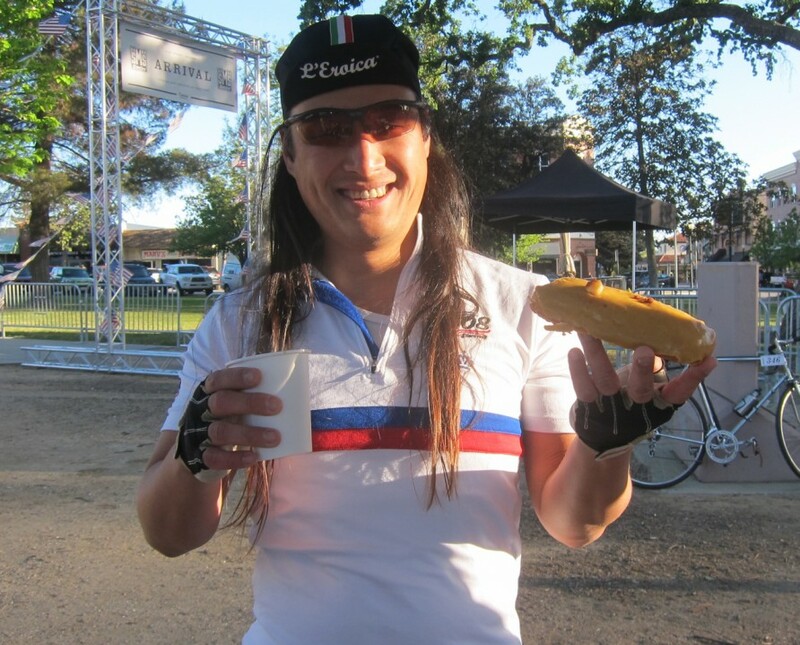 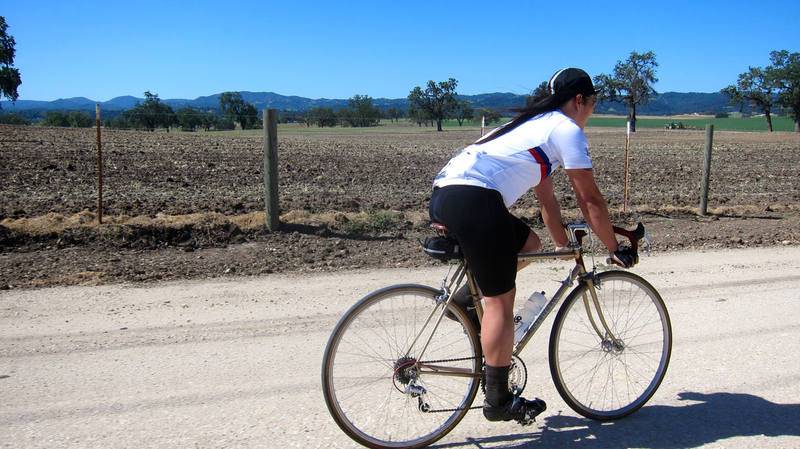 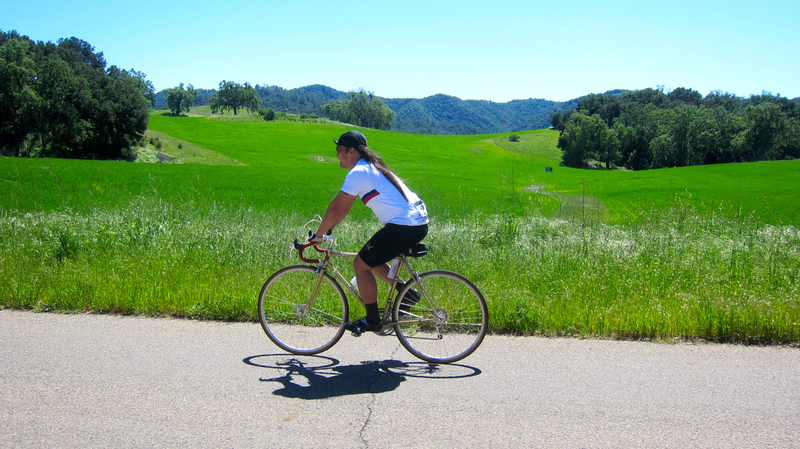 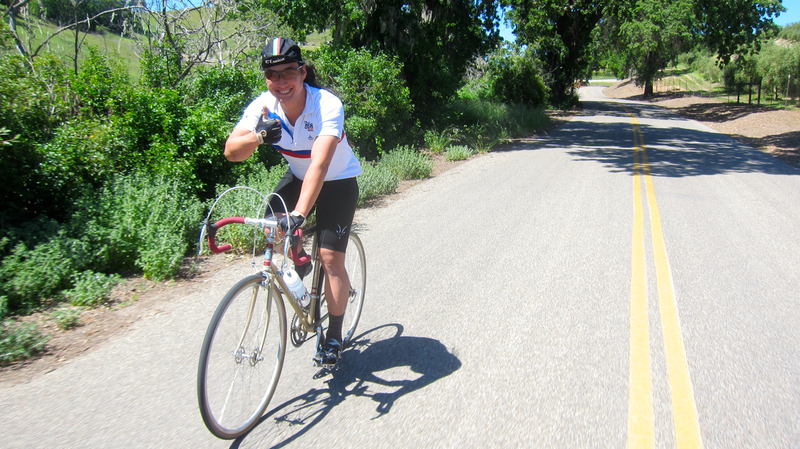 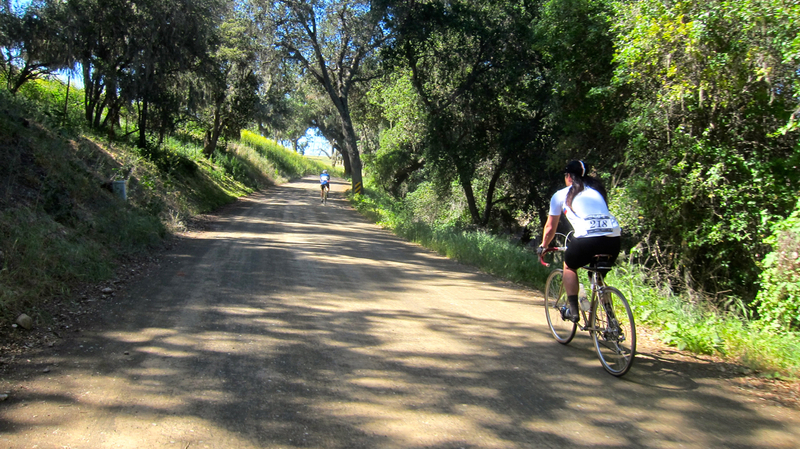 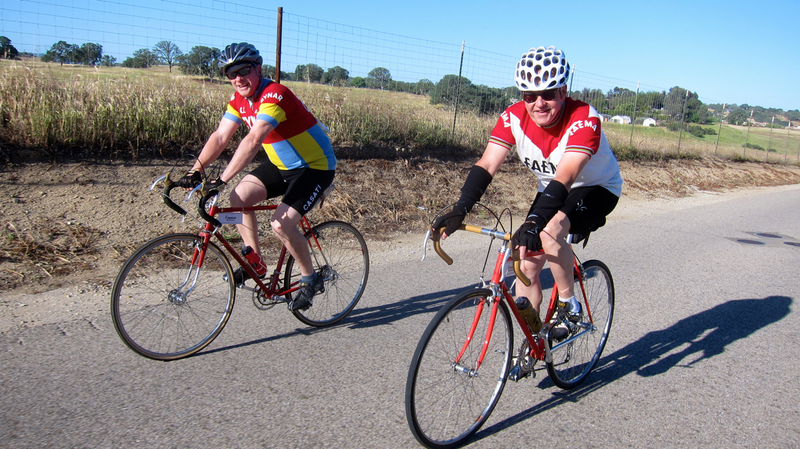 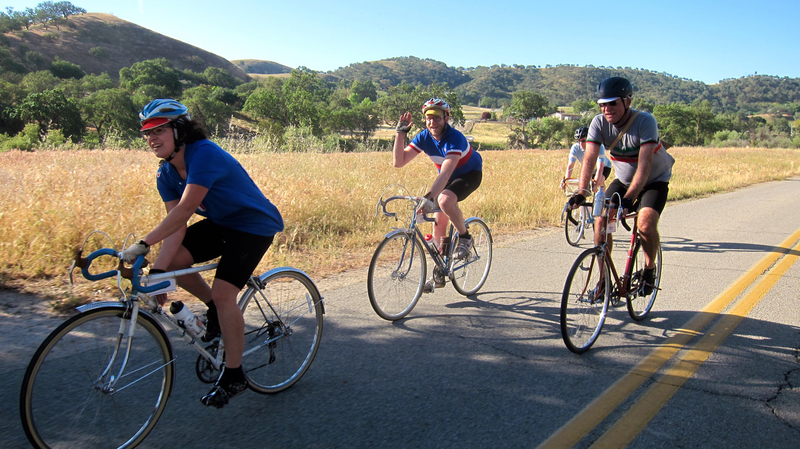 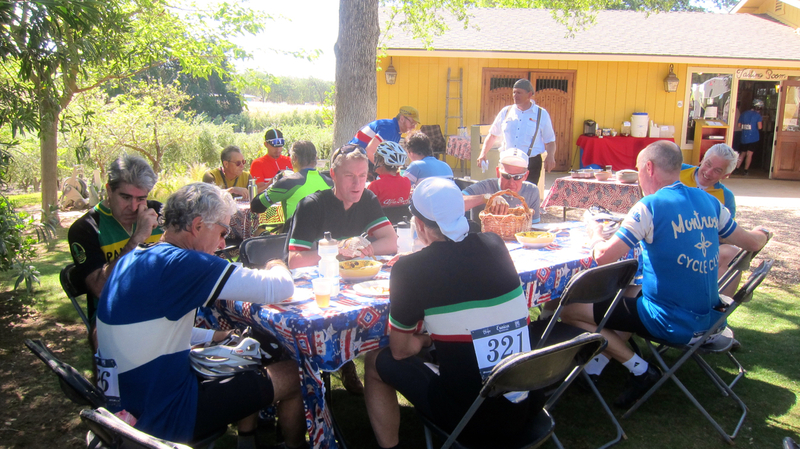 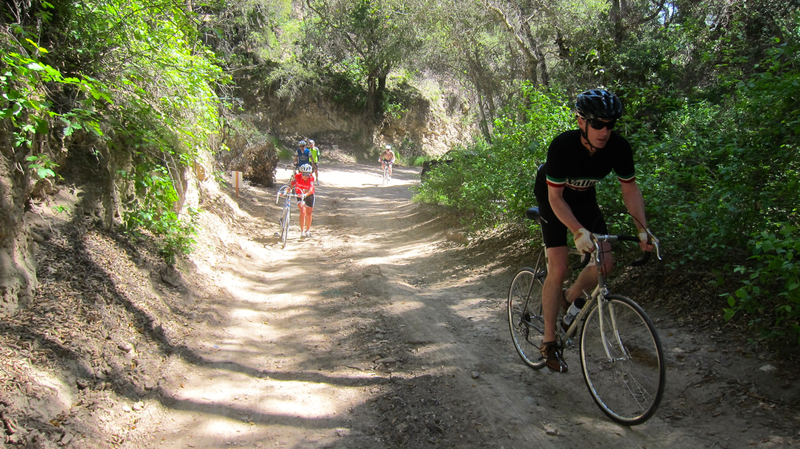 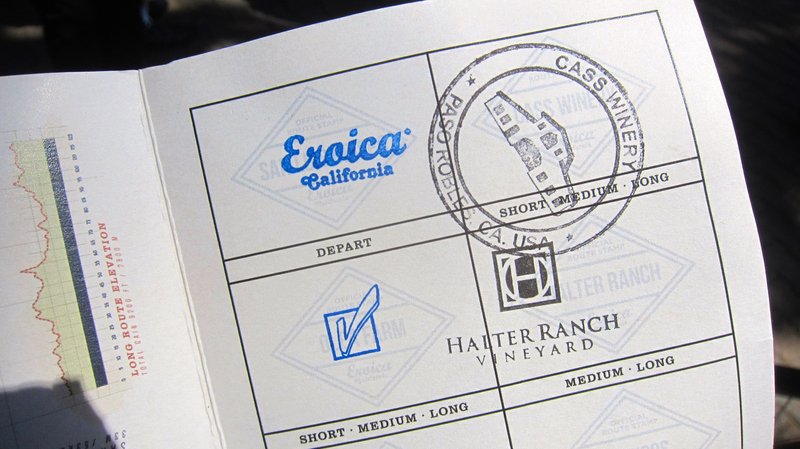 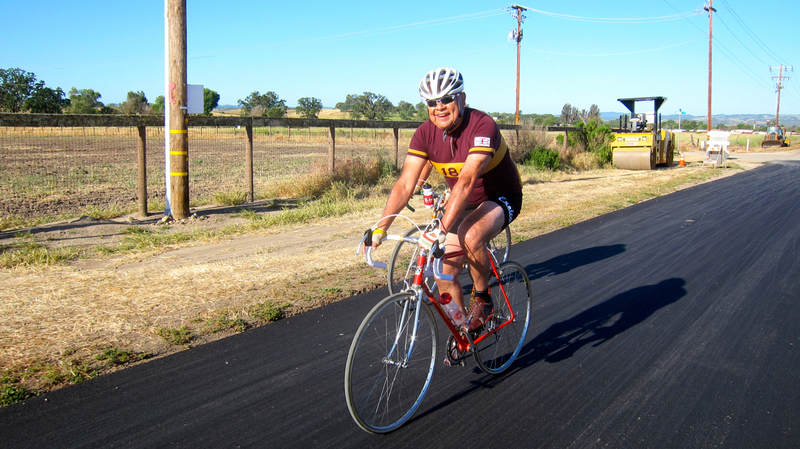 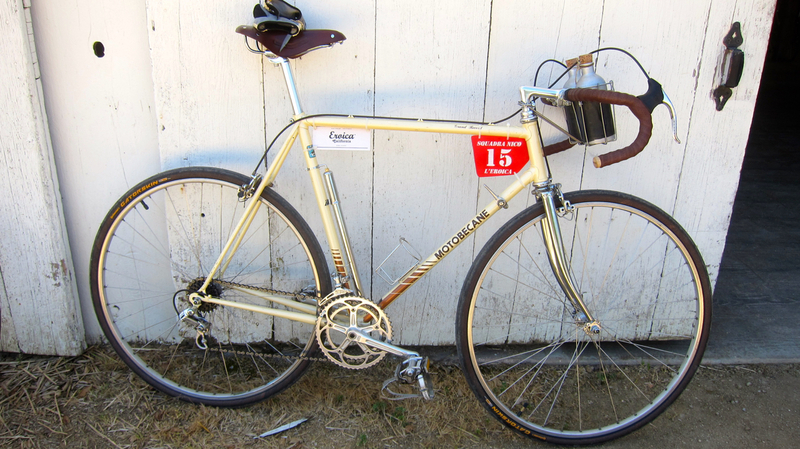 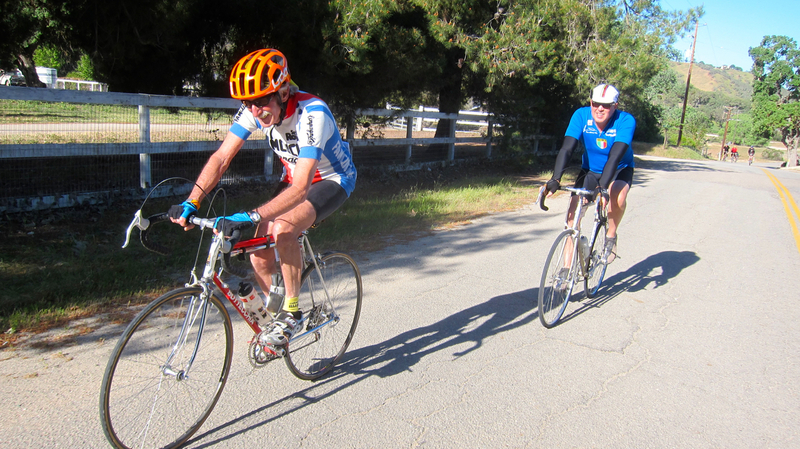 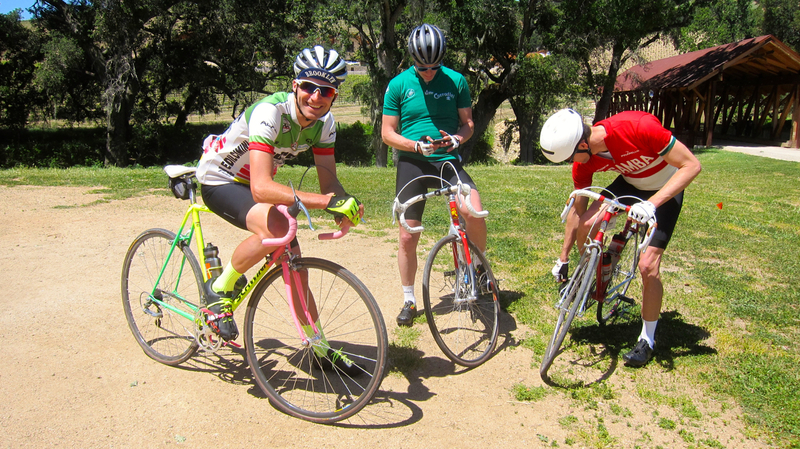 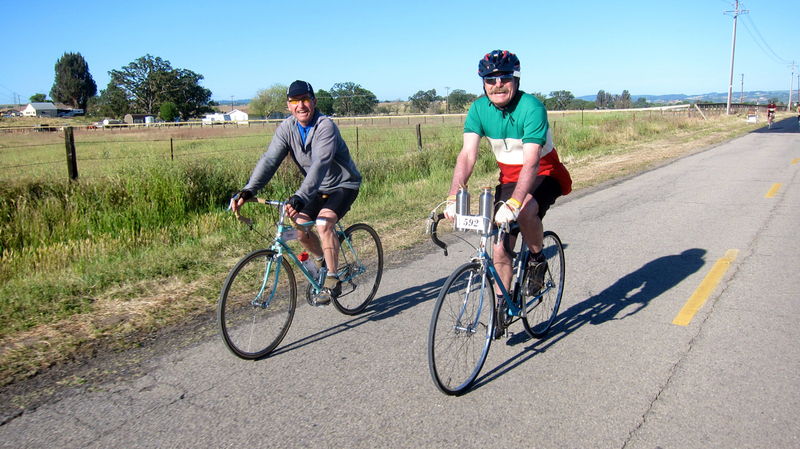 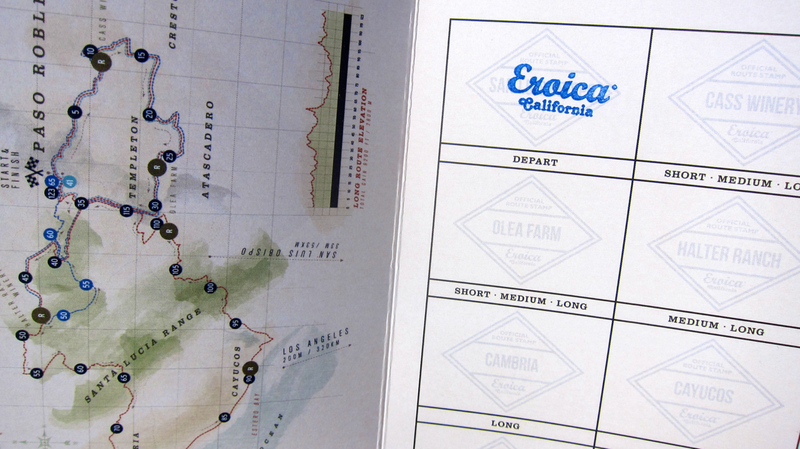 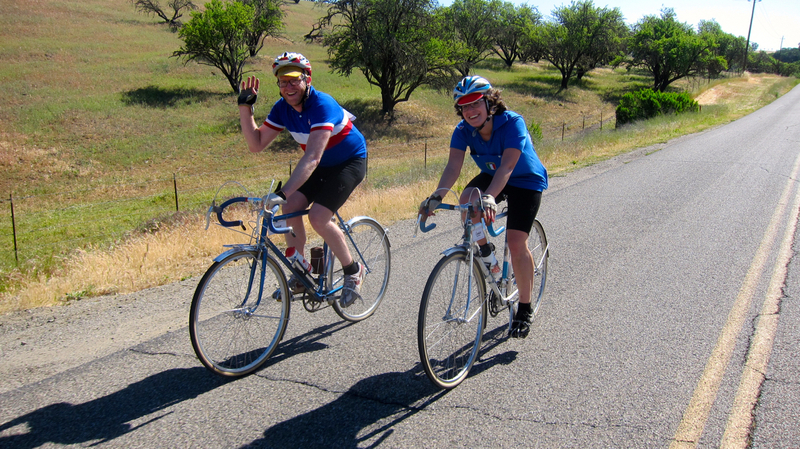 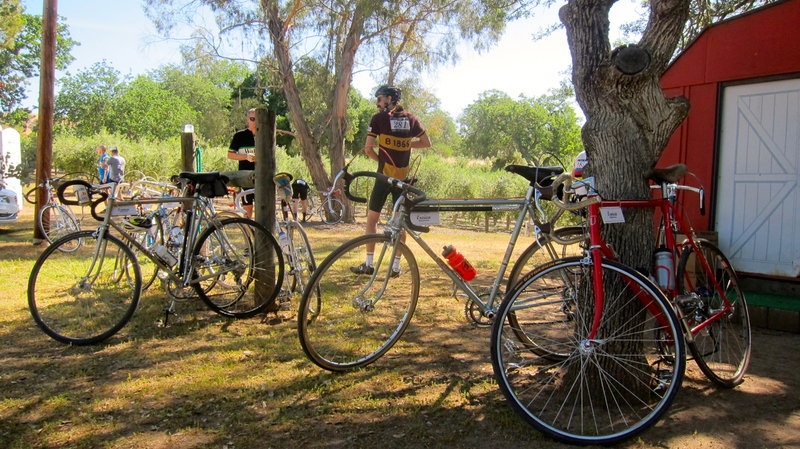 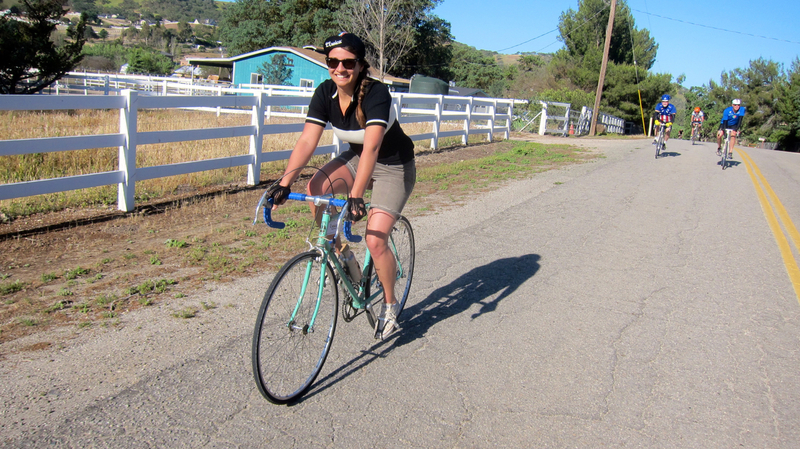 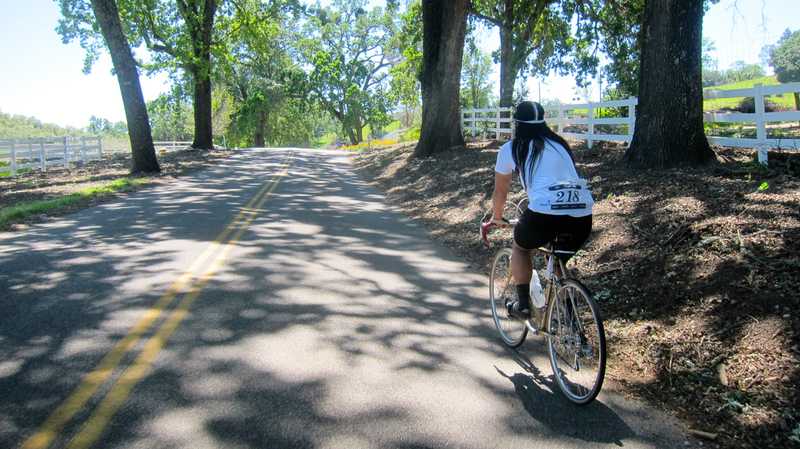 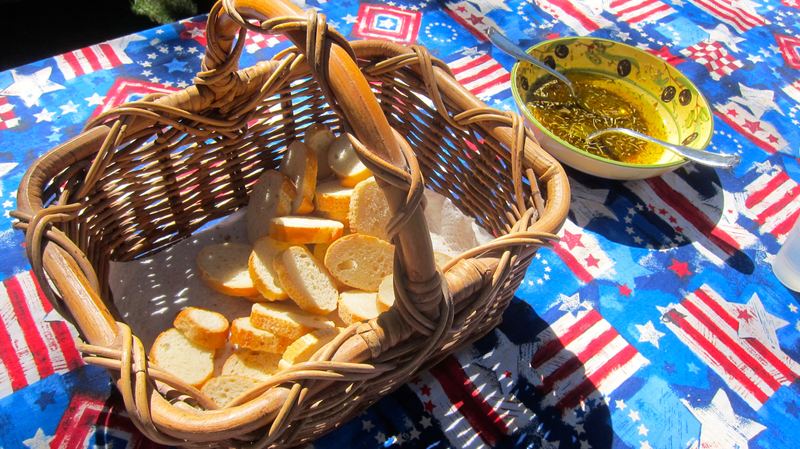 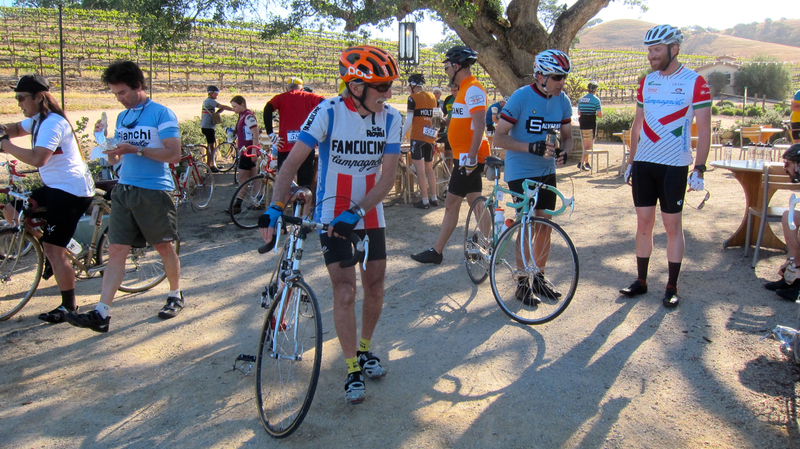 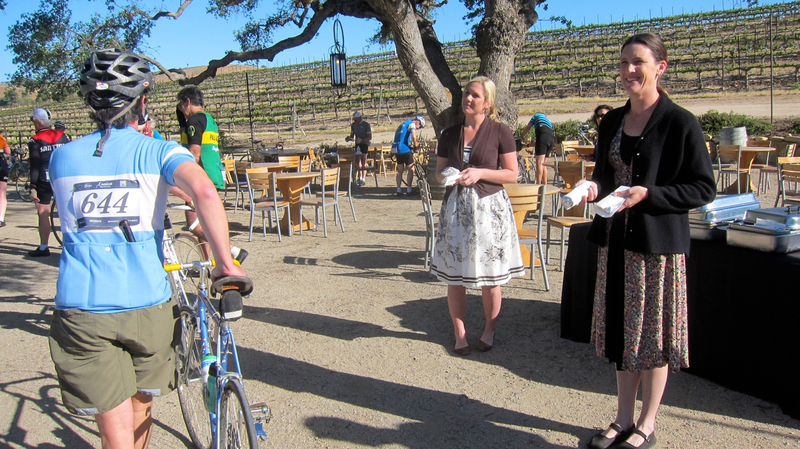 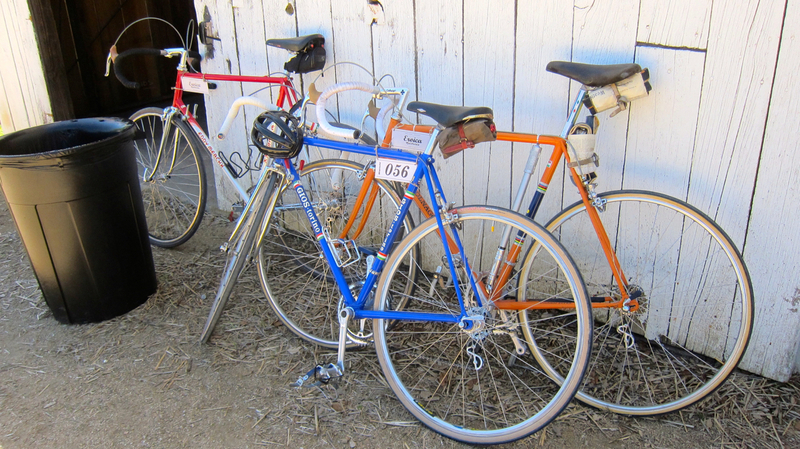 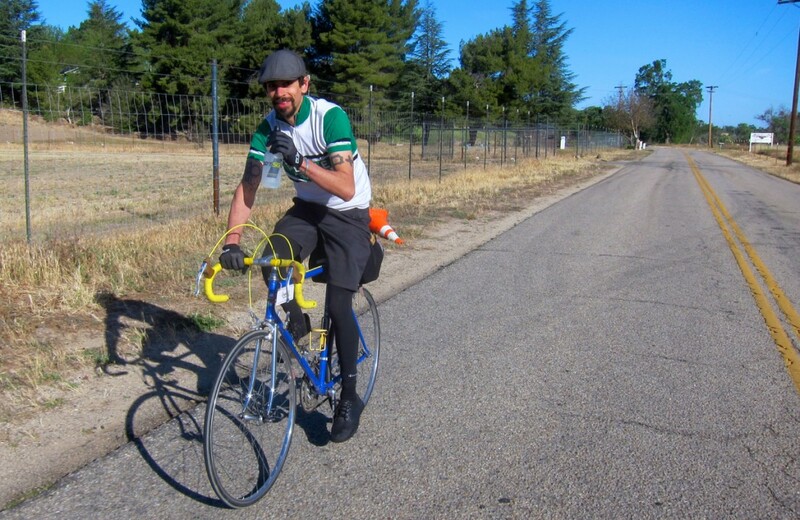 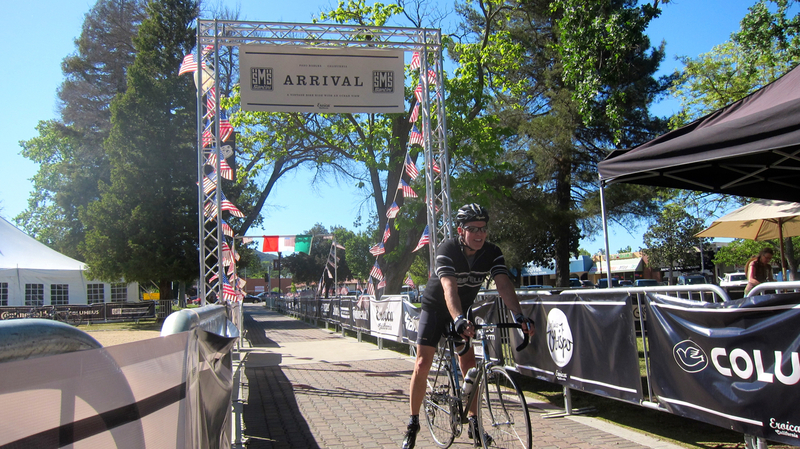 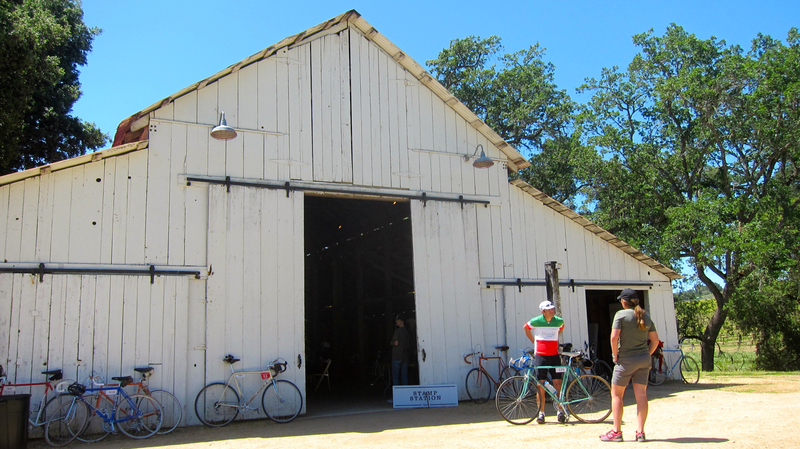 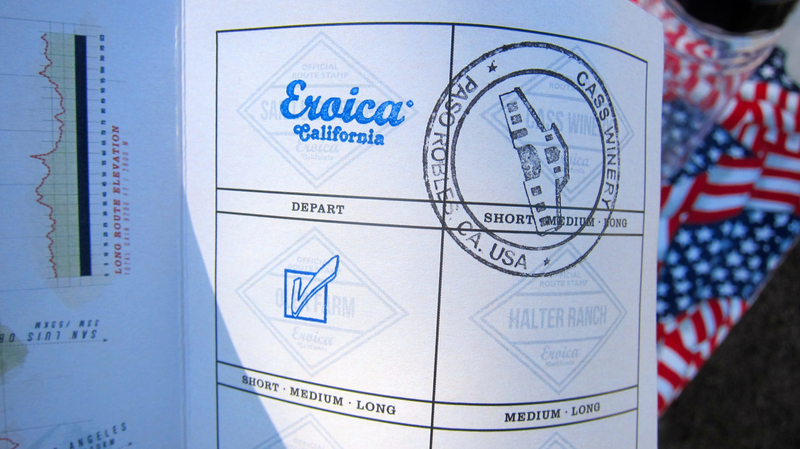 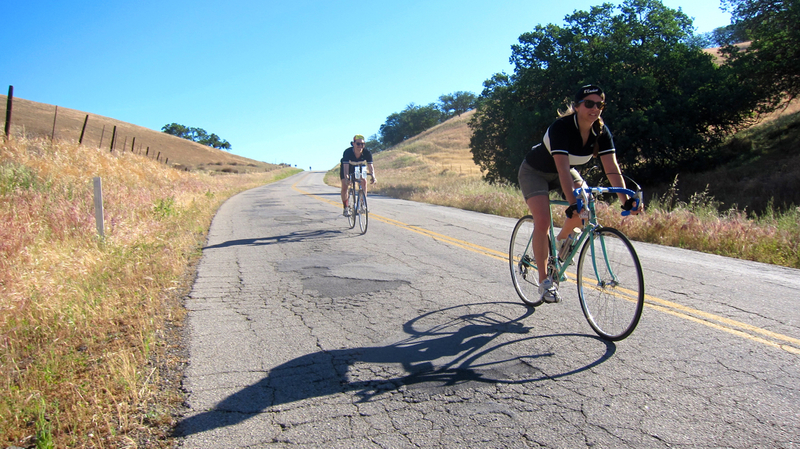 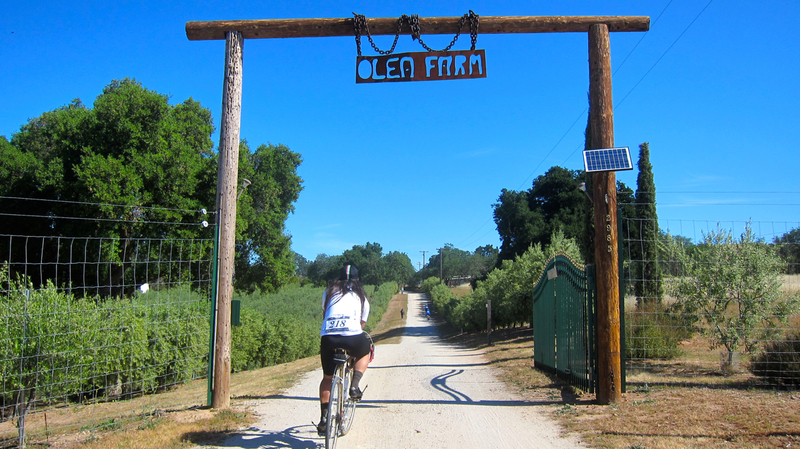 The inaugural L’Eroica California kicked off this weekend and was an amazing experience. 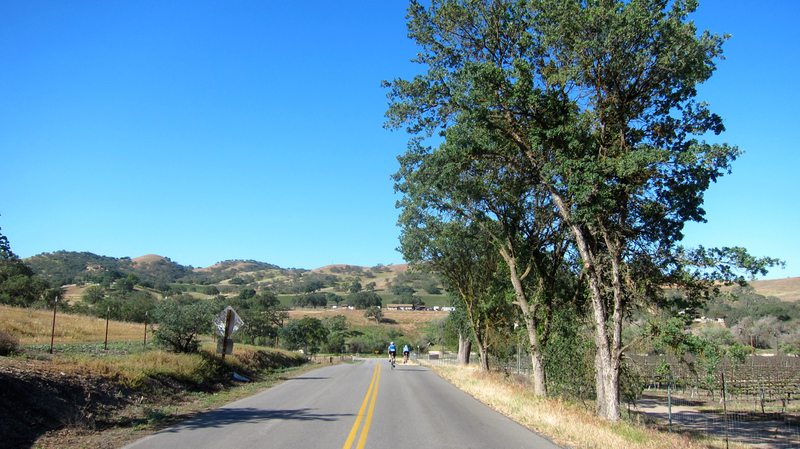 Jason and I chose the medium route (69 miles with over 5300 ft. of climbing), as we have some big randonneuring rides coming up and wanted to save some energy in our legs. 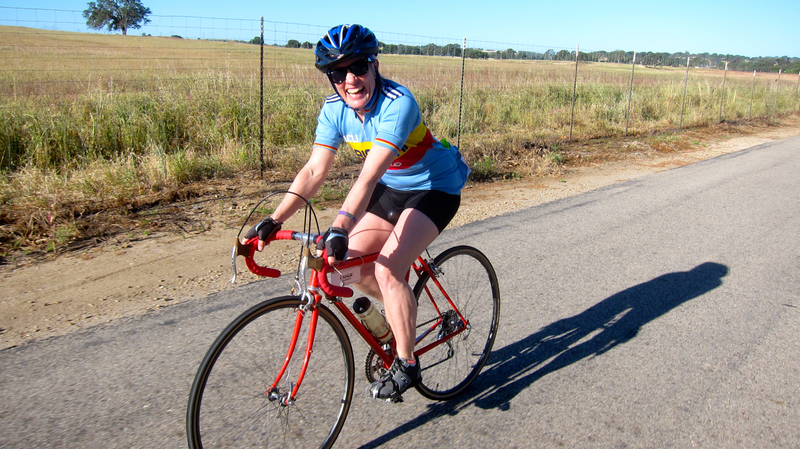 Plus my easiest gear on my Pinarello is 42-26, so I was pretty trashed by the end and felt like I had done leg presses all day! 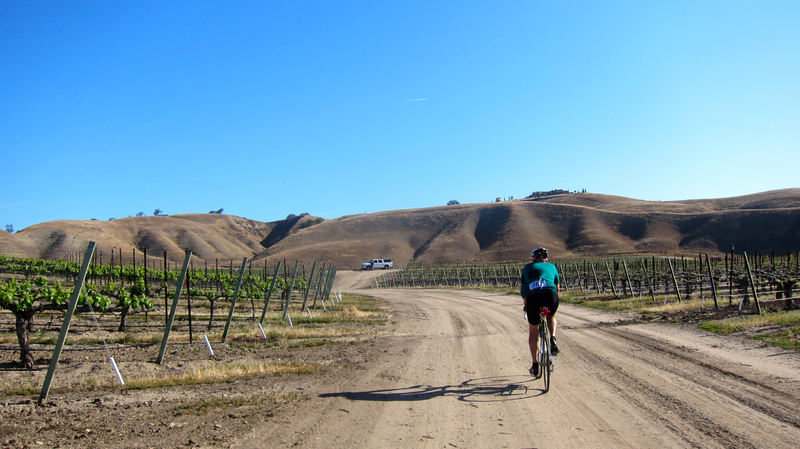 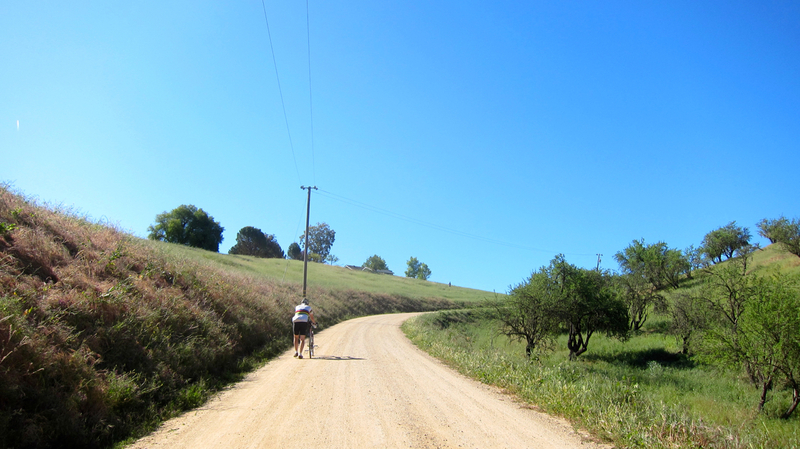 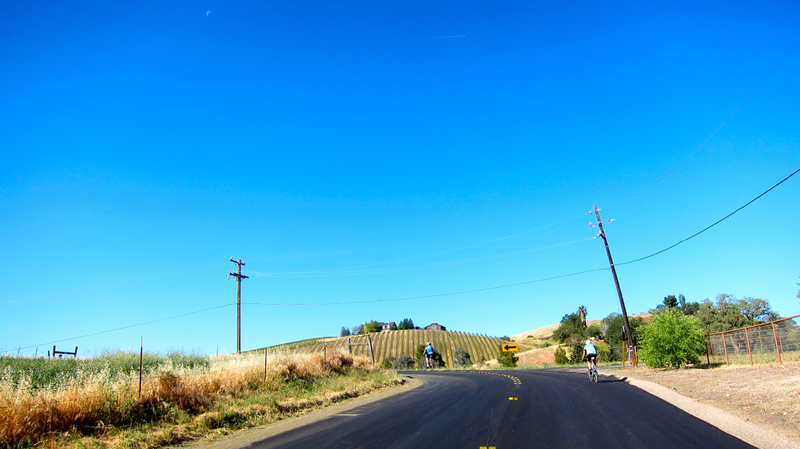 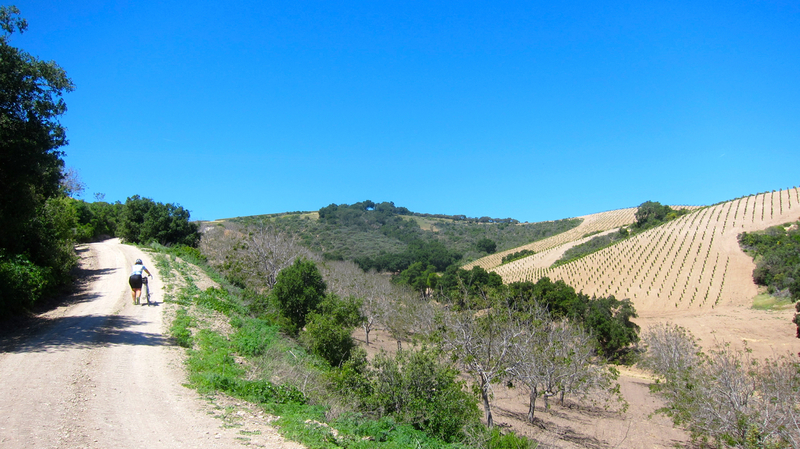 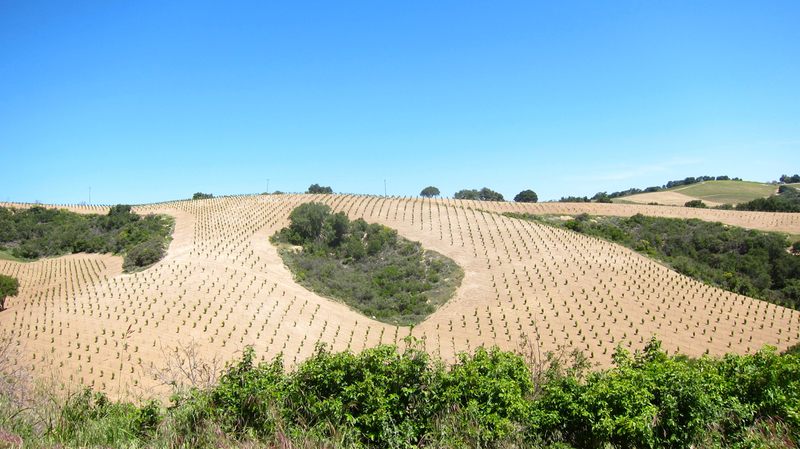 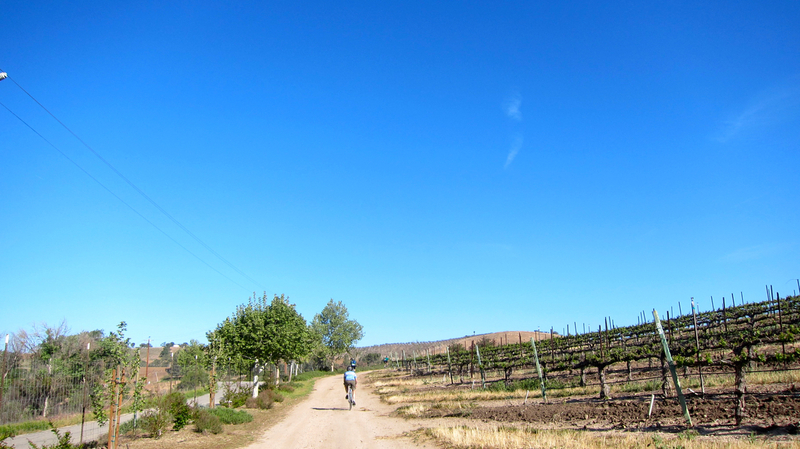 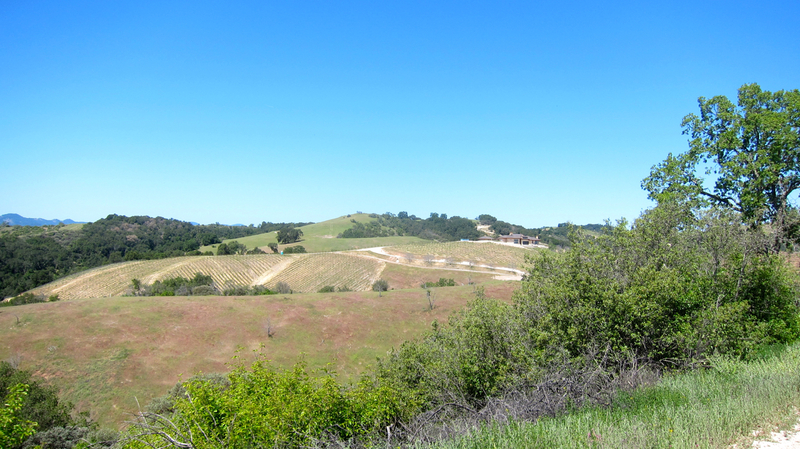 —The course was spectacular: lots of rolling hills through vineyards, with several challenging gravel climbs through private land that became progressively harder. 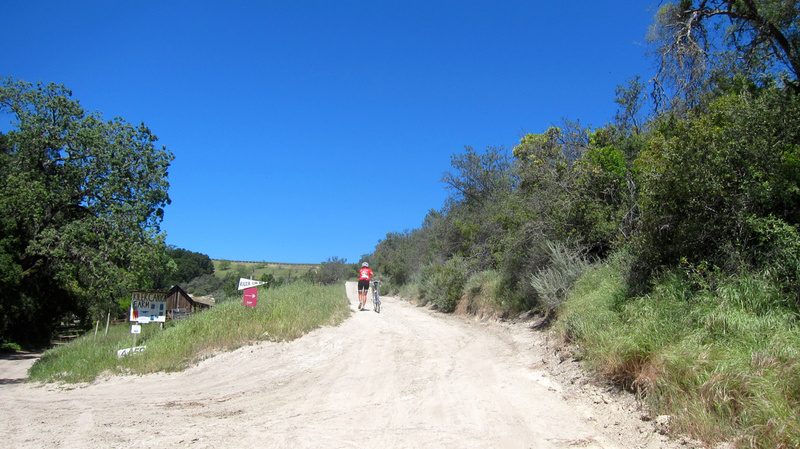 I managed to ride most of the first, cleaned the second, most of the third and only a quarter of the last one — that was a quad-killer. 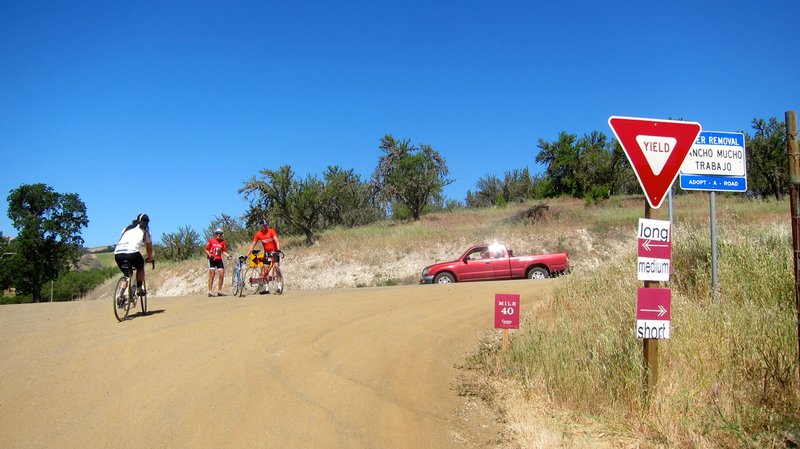 Some folks got lost due to some confusing signage along the way — we missed a turn at the beginning and Jason got turned around at one point — so some riders headed back early due to time running out on the clock or fatigue. 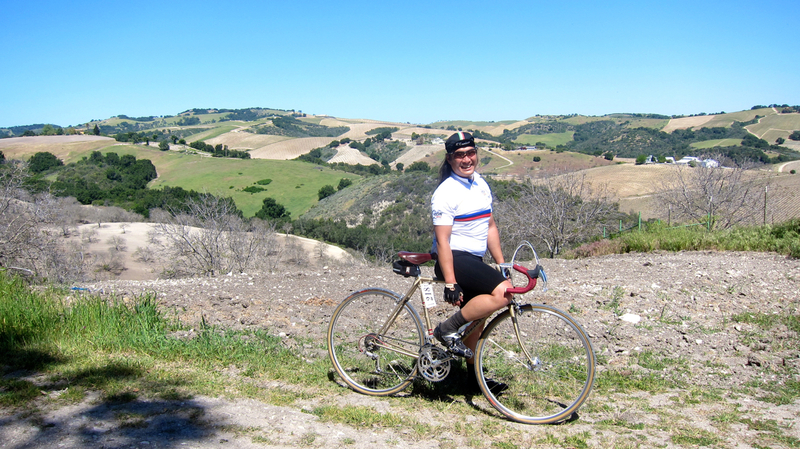 —Jason retrieved someone’s missing passport card and got it stamped along the way; the rider was so grateful when he received it at the second stop — truly heroic! 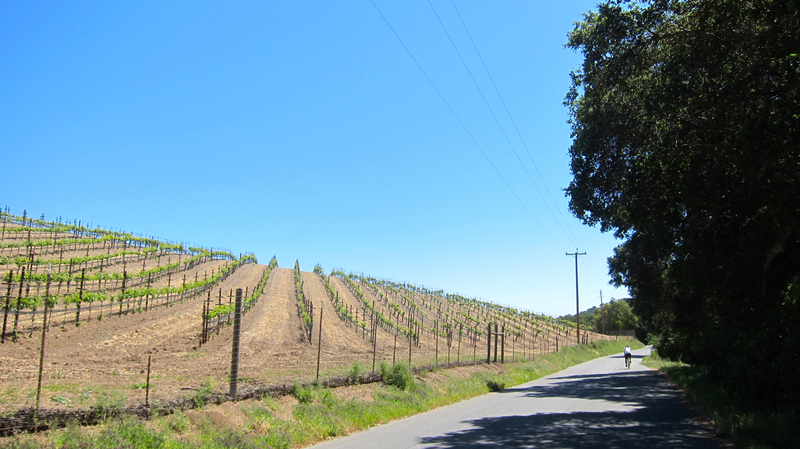 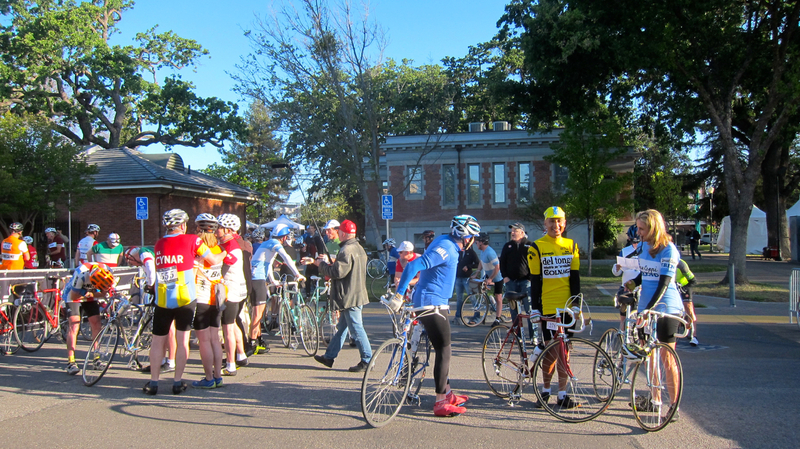 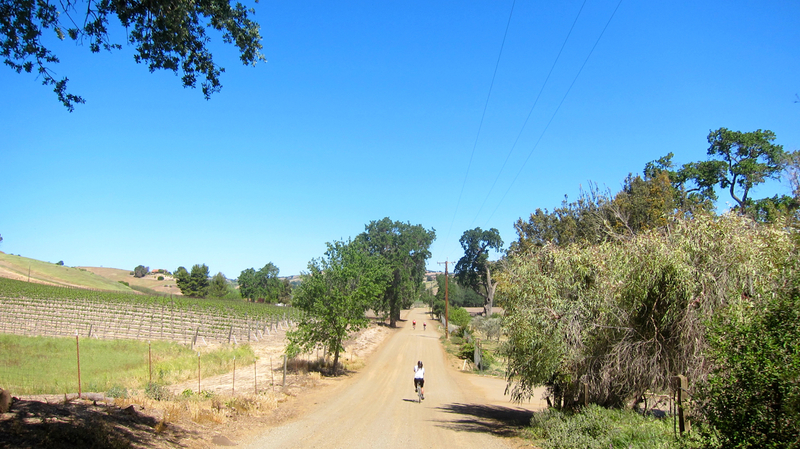 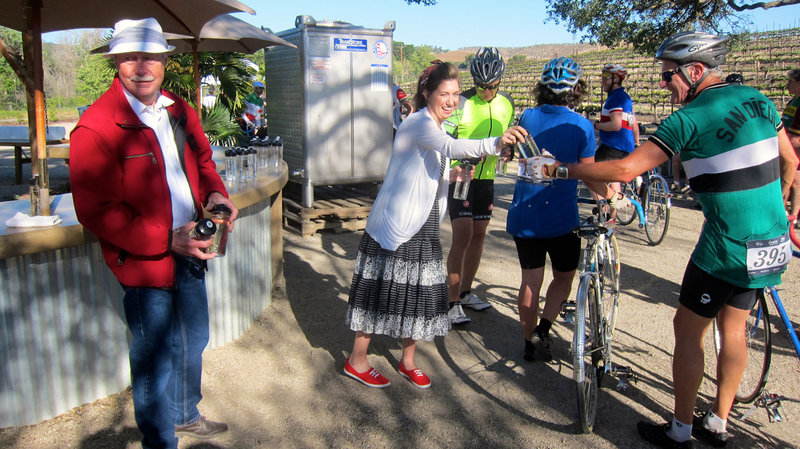 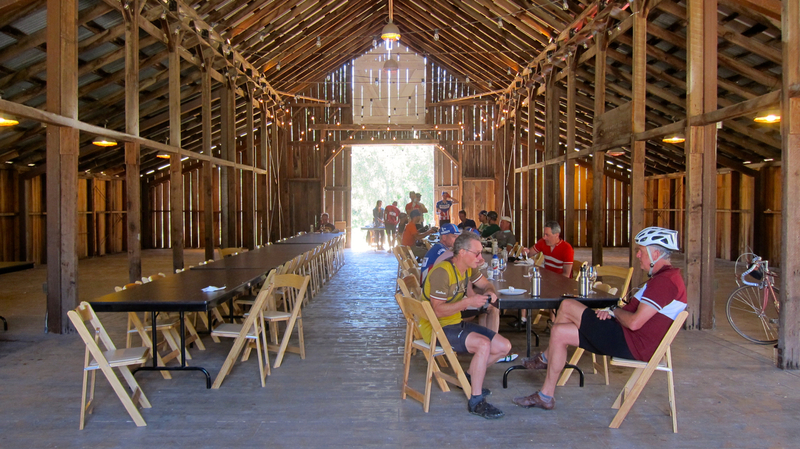 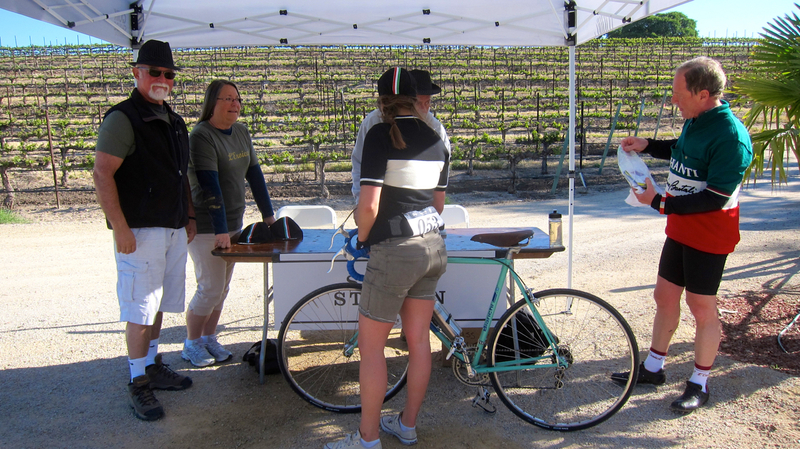 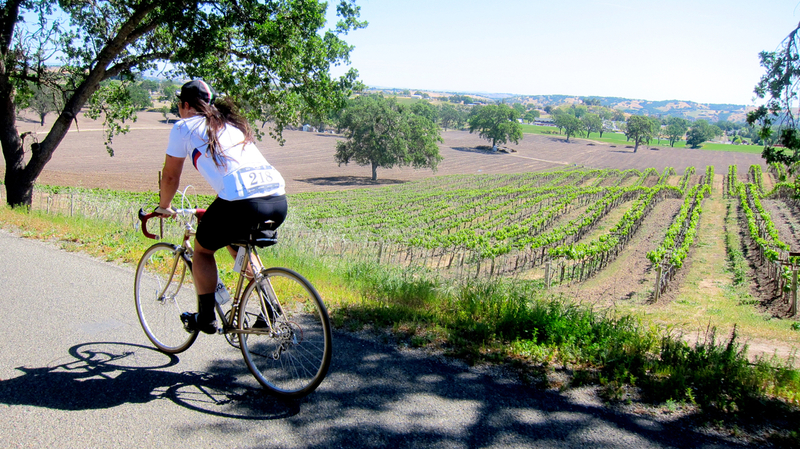 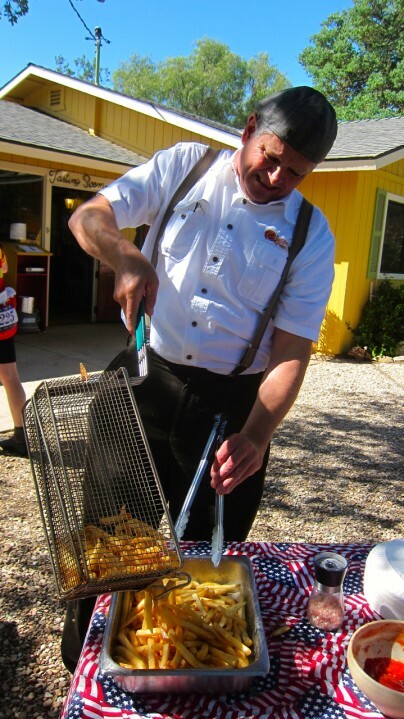 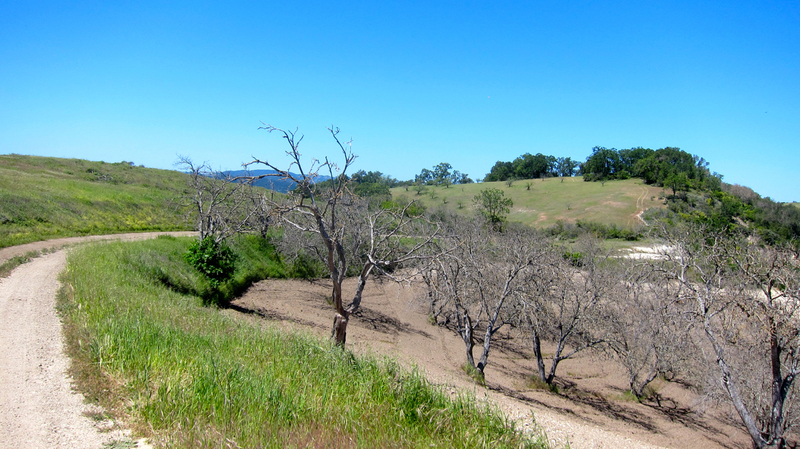 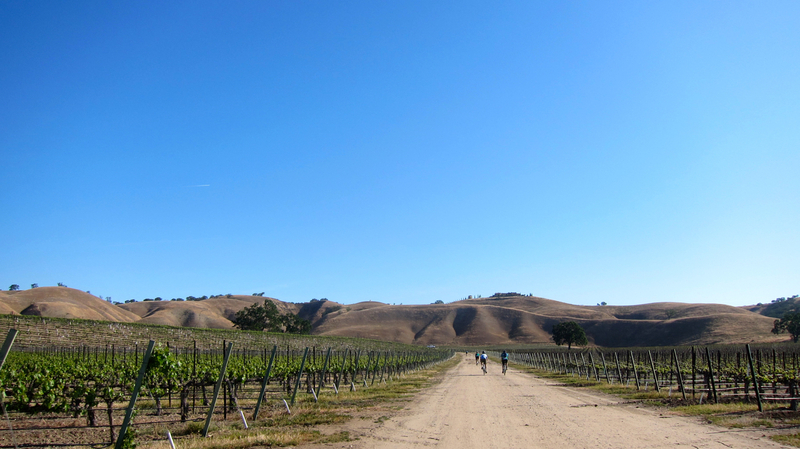 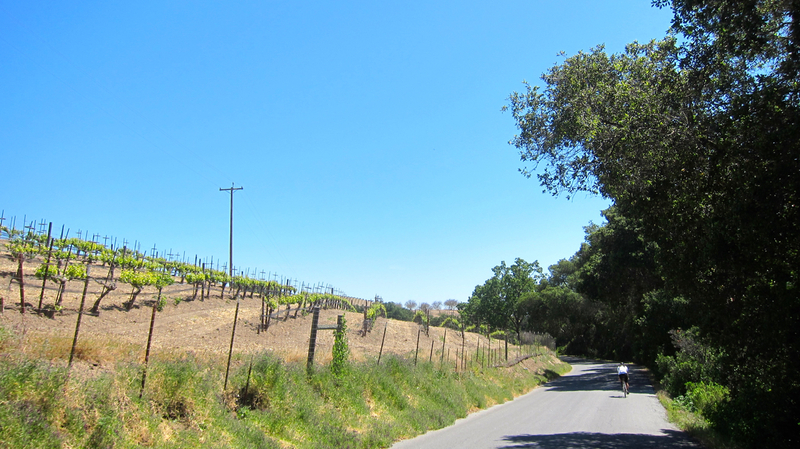 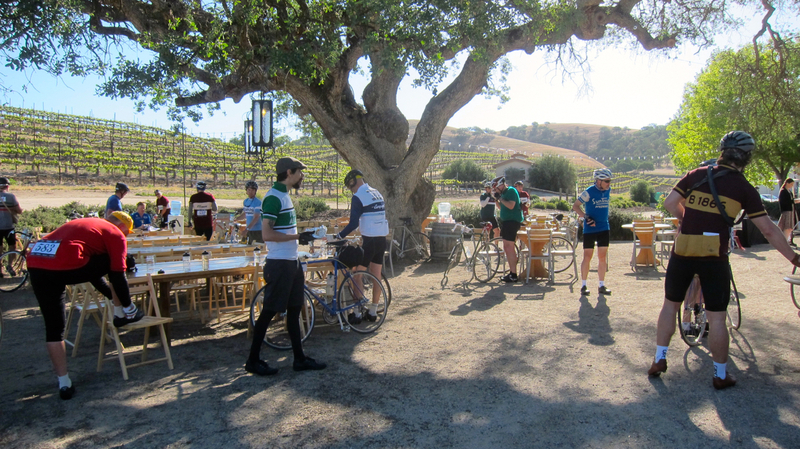 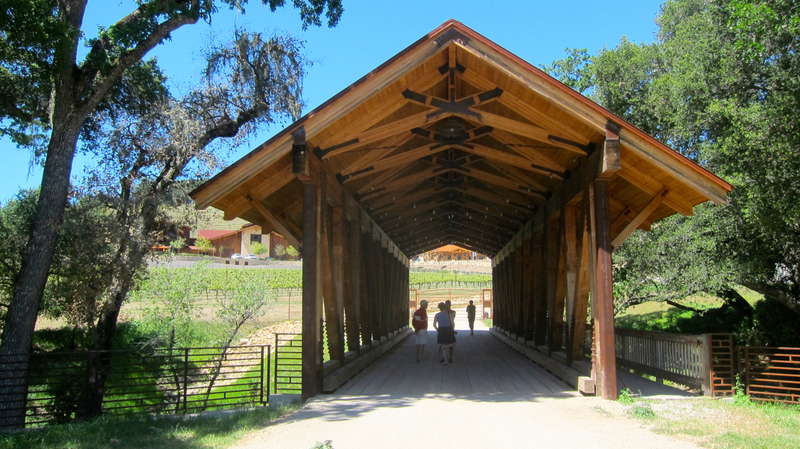 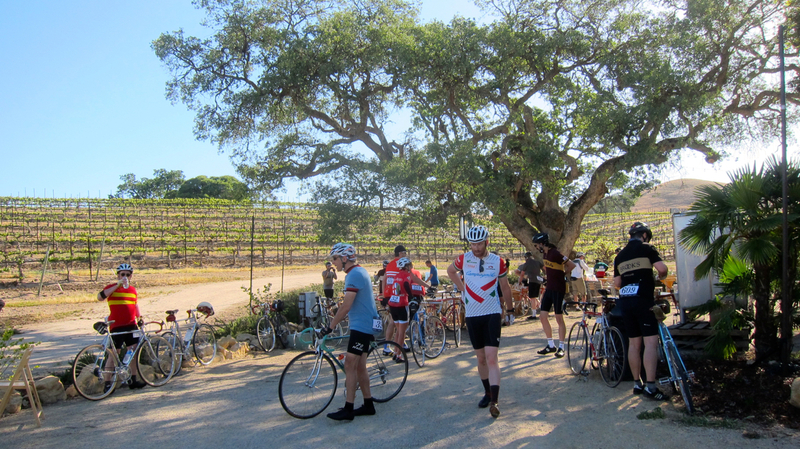 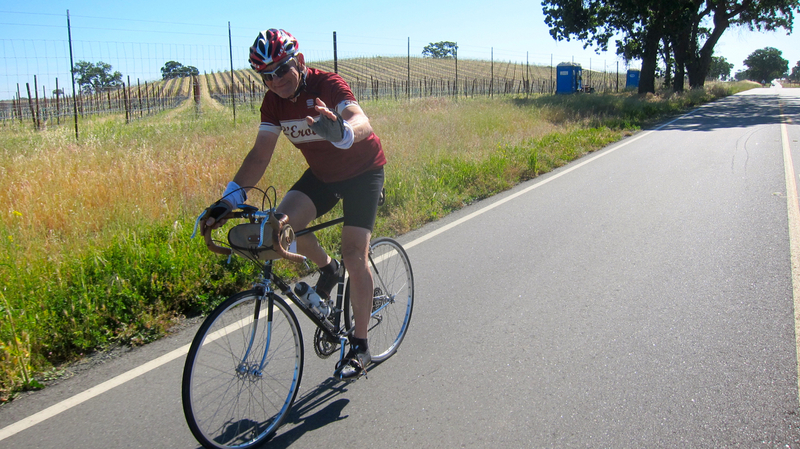 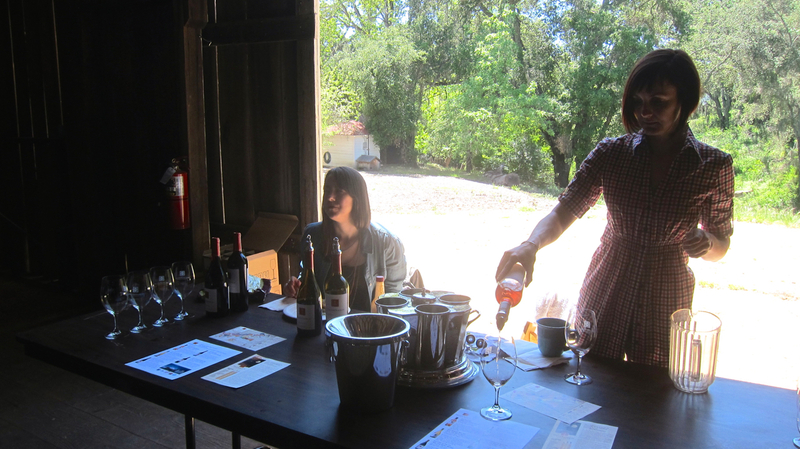 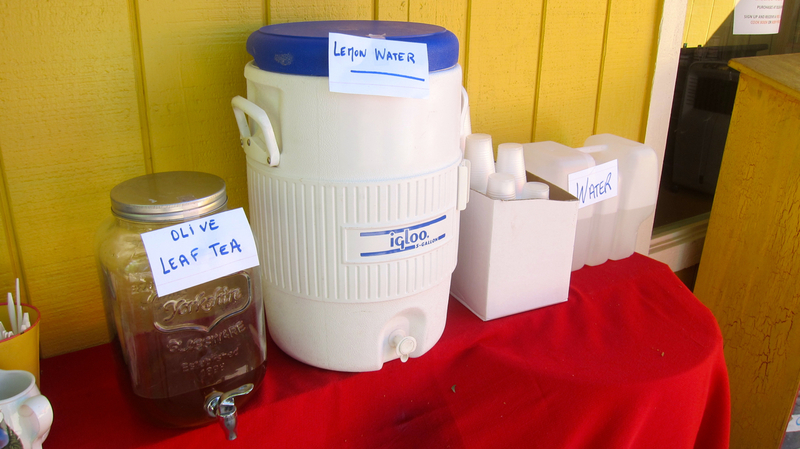 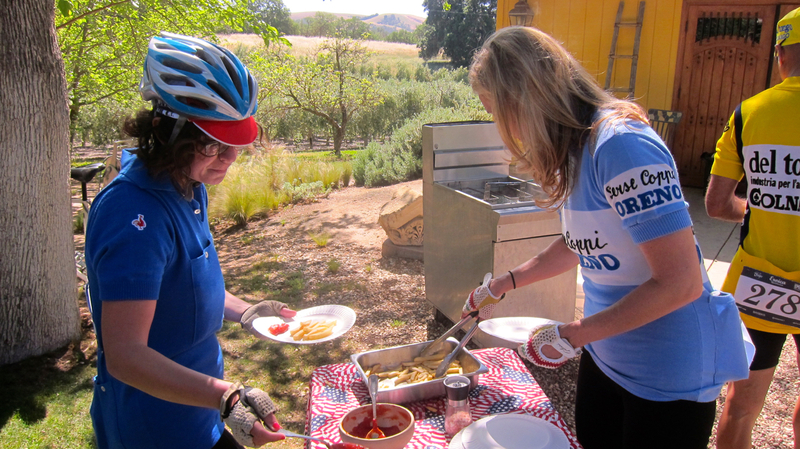 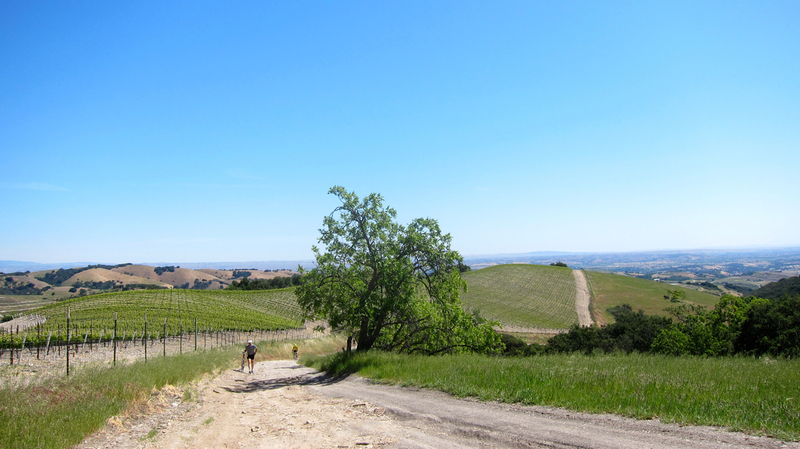 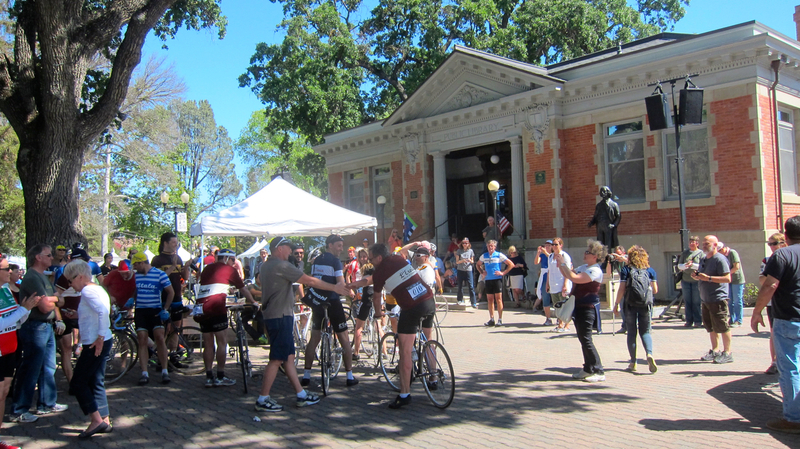 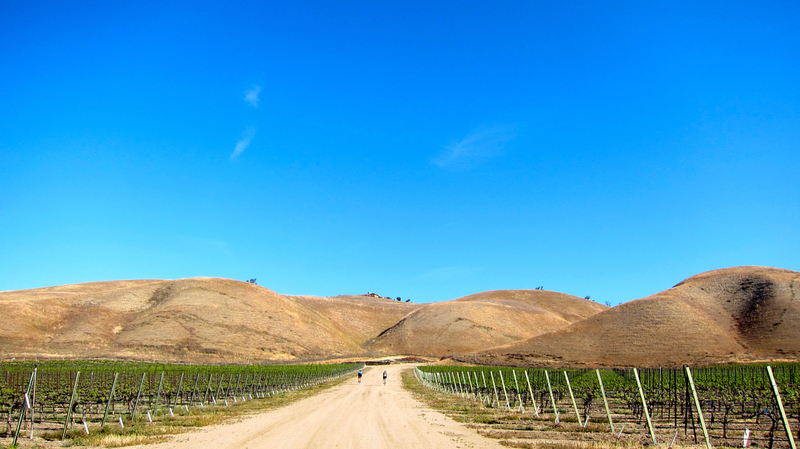 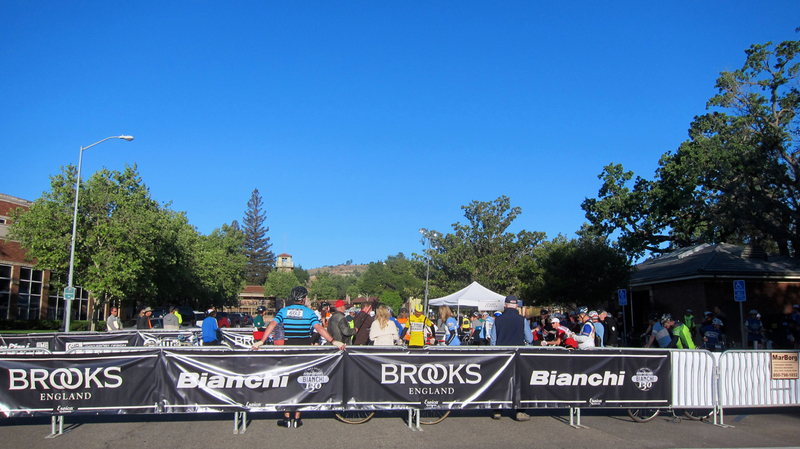 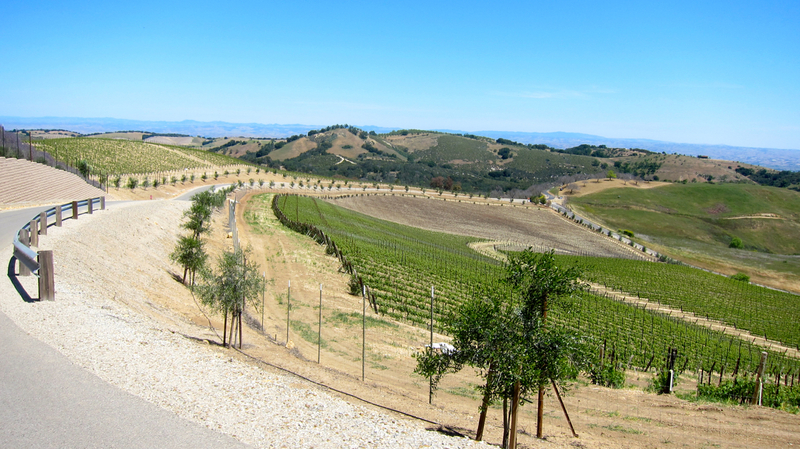 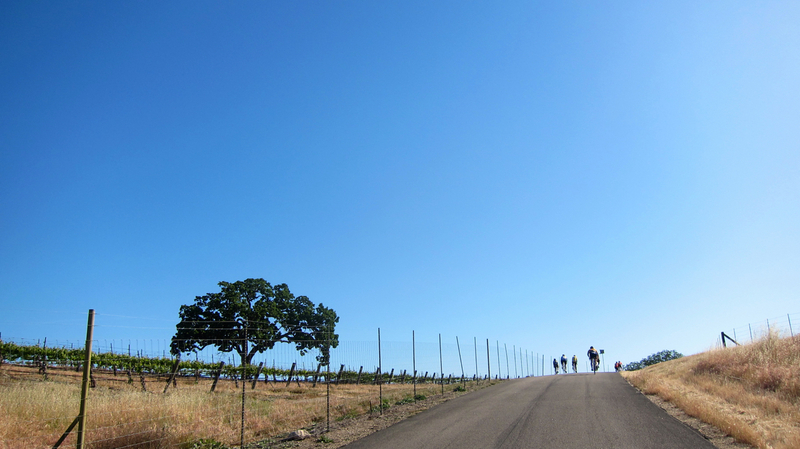 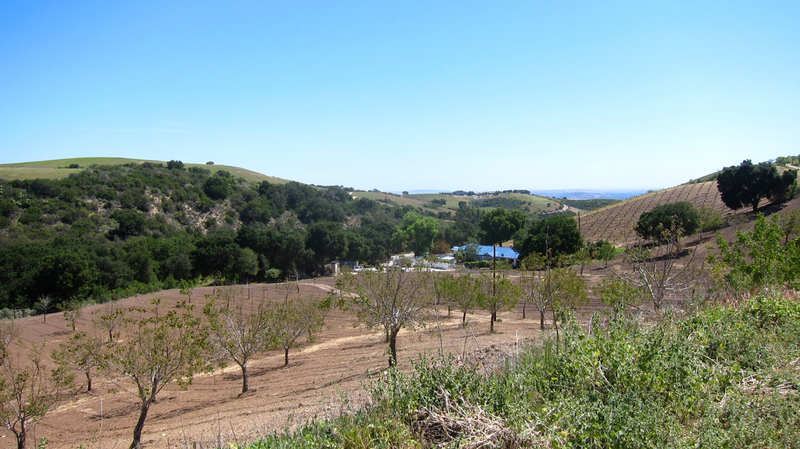 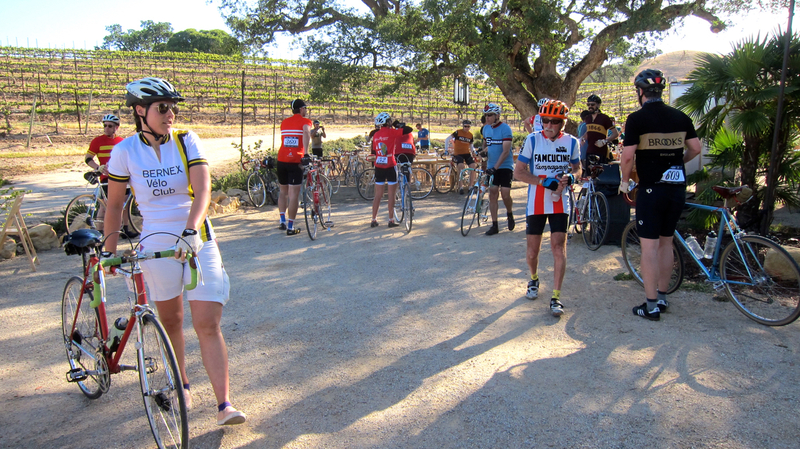 —There were three picturesque rest stops at local wineries — the first one handed out water bottles filled with wine! 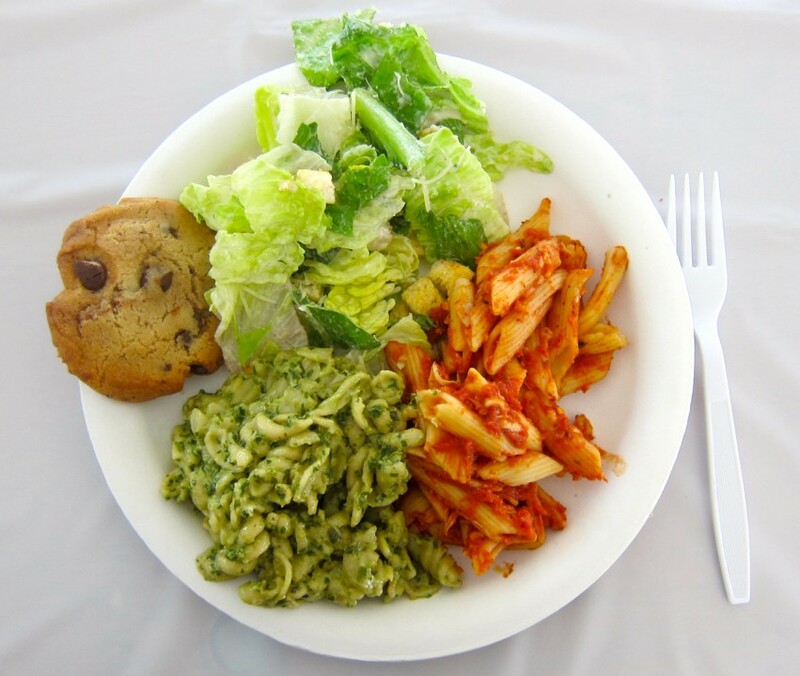 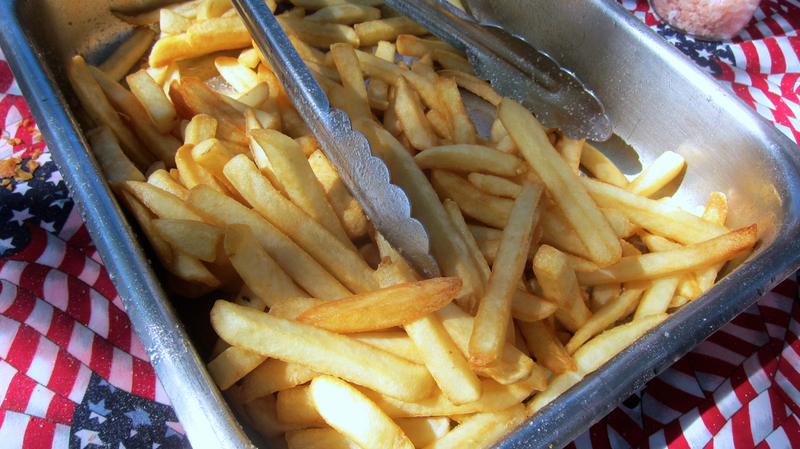 — catered with delicious snacks. 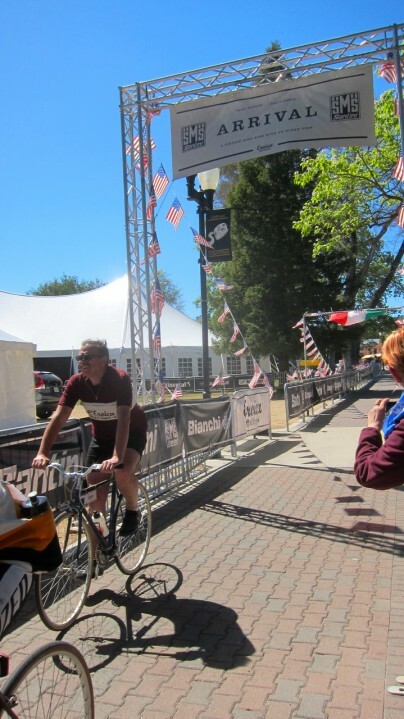 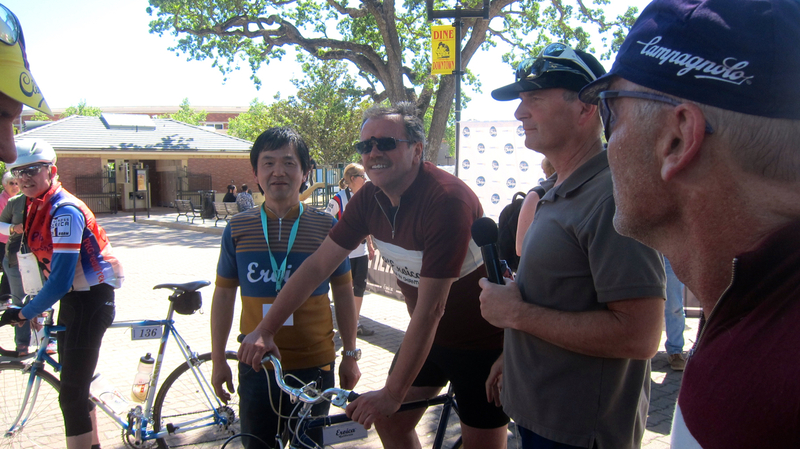 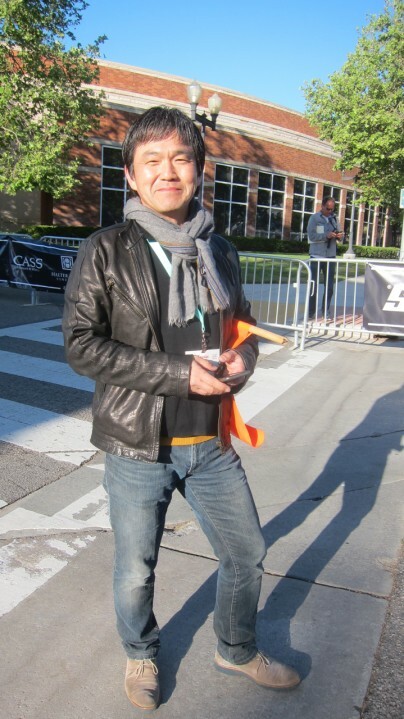 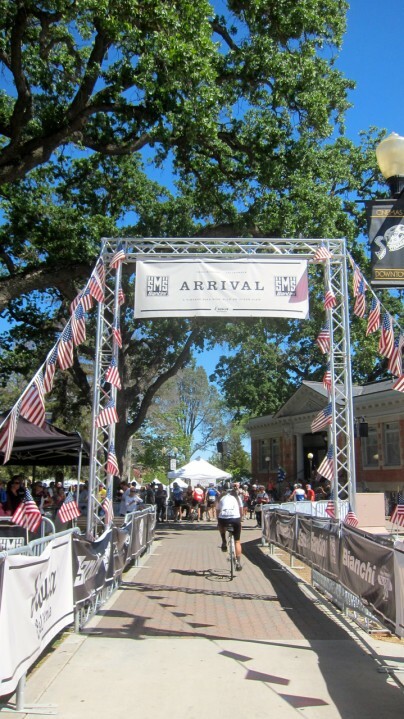 —It was lovely being greeted with rousing cheers as we crossed the finish line. 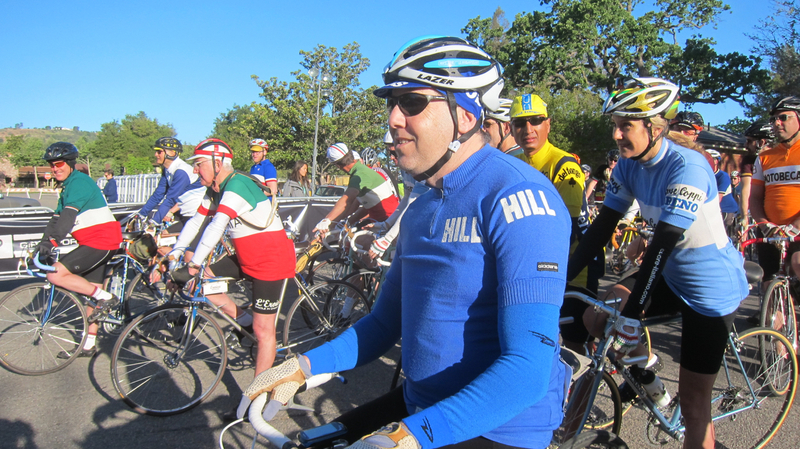 We even spotted Giancarlo Brocci, the founder, at the end. 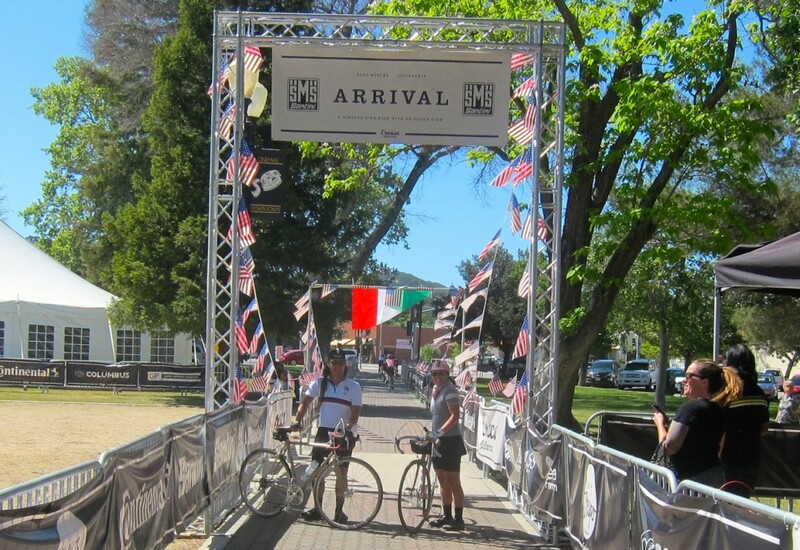 We’re hoping to go to the one in Italy and who knows, maybe the ones in Japan and England, too! 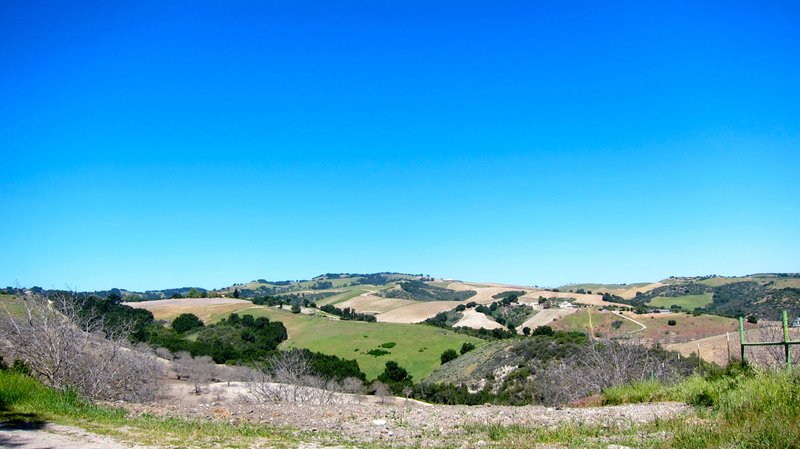 But I hope the one in California continues to grow. 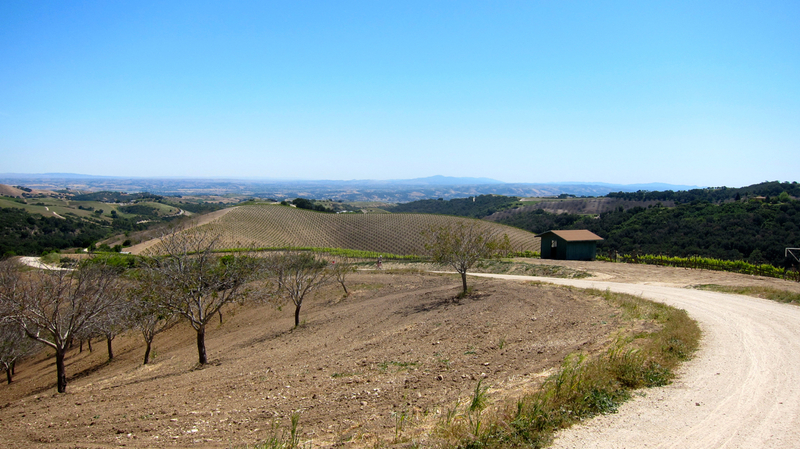 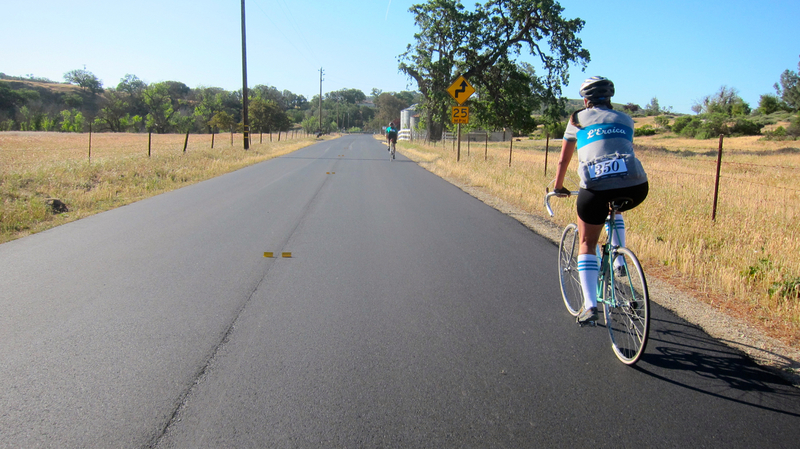 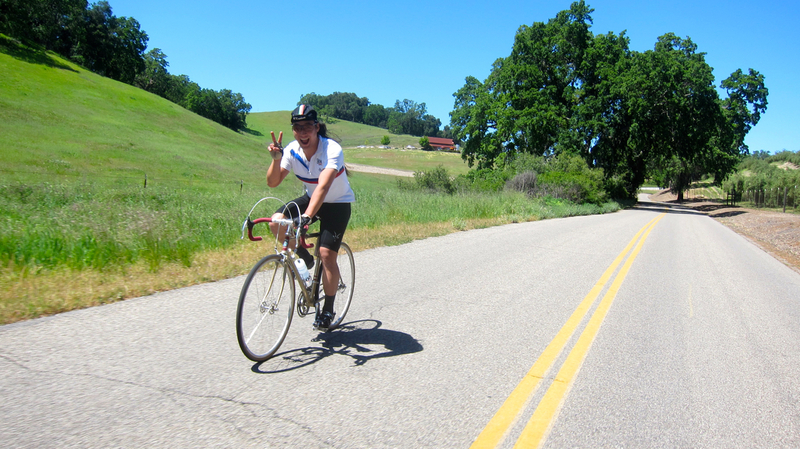 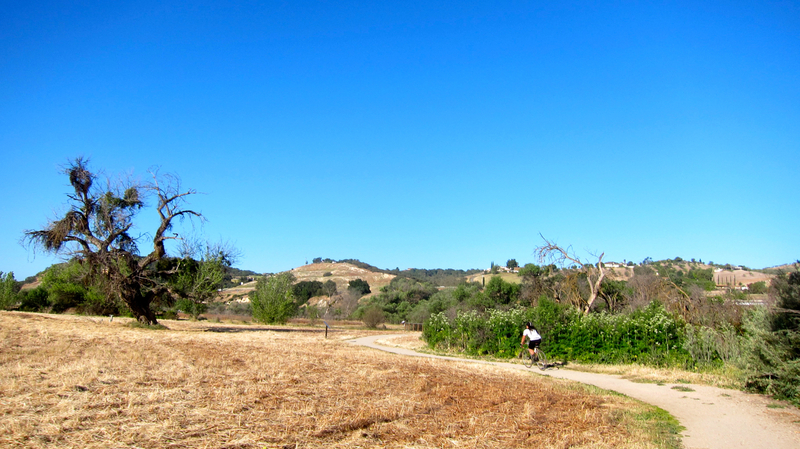 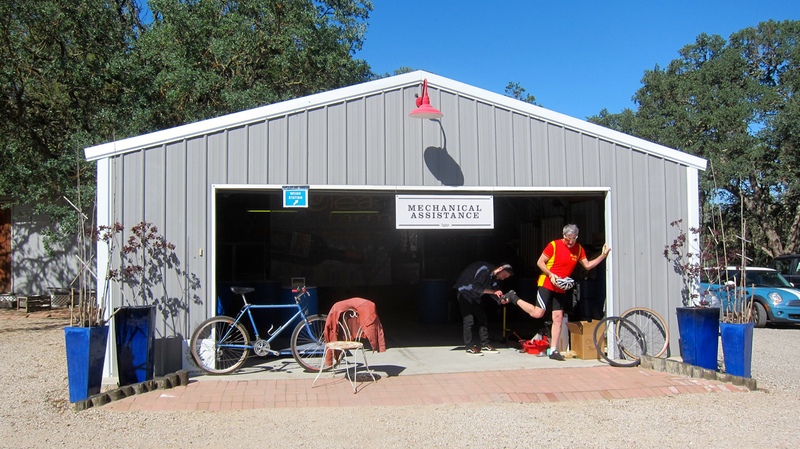 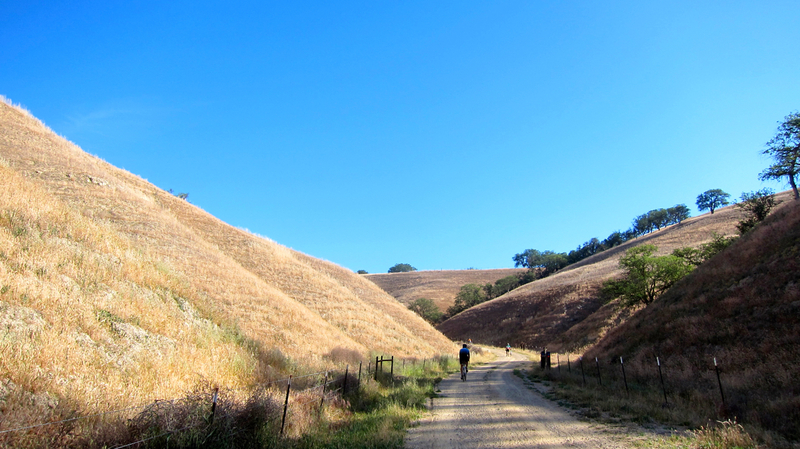 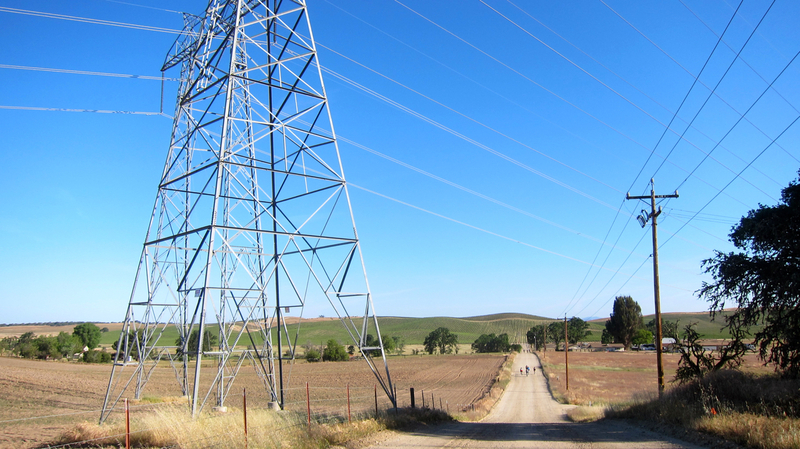 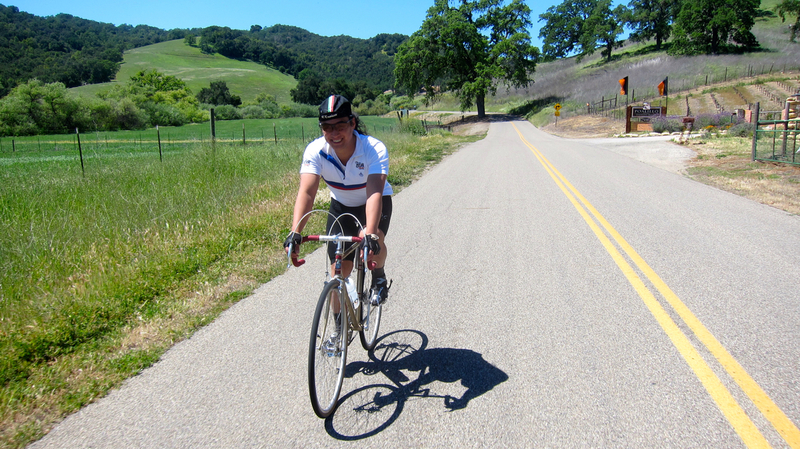 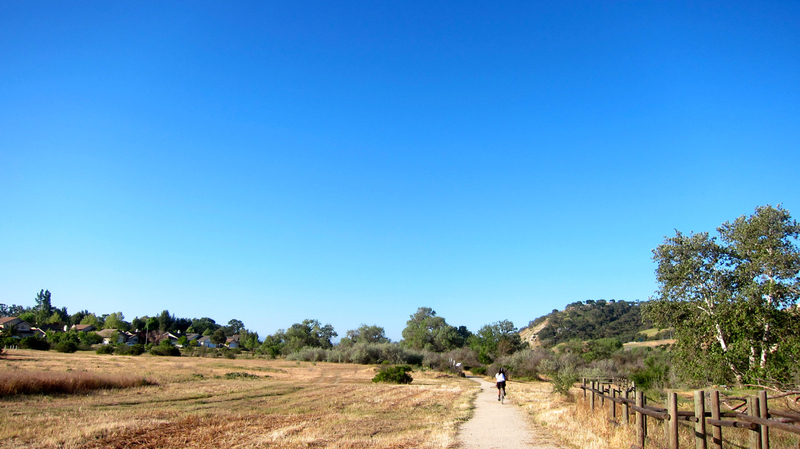 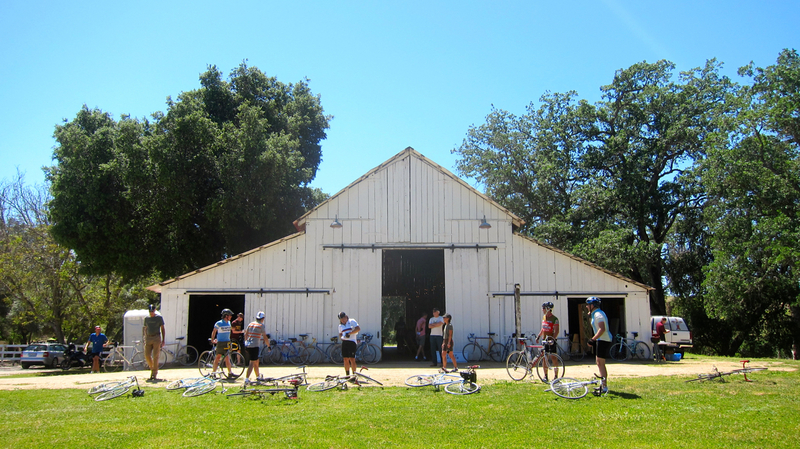 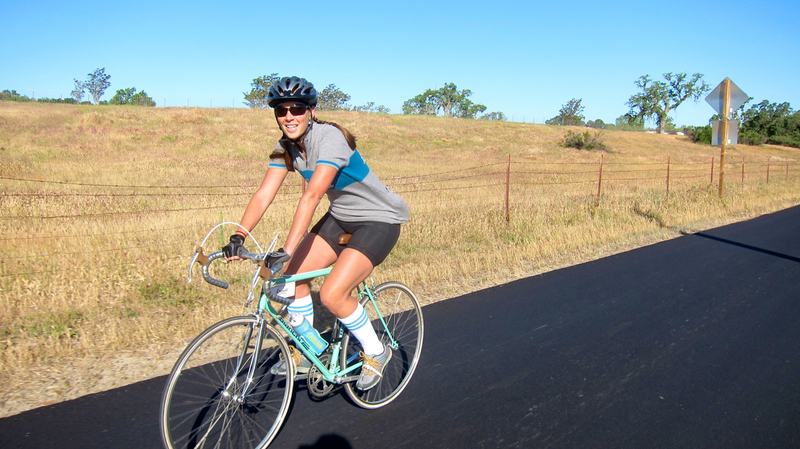 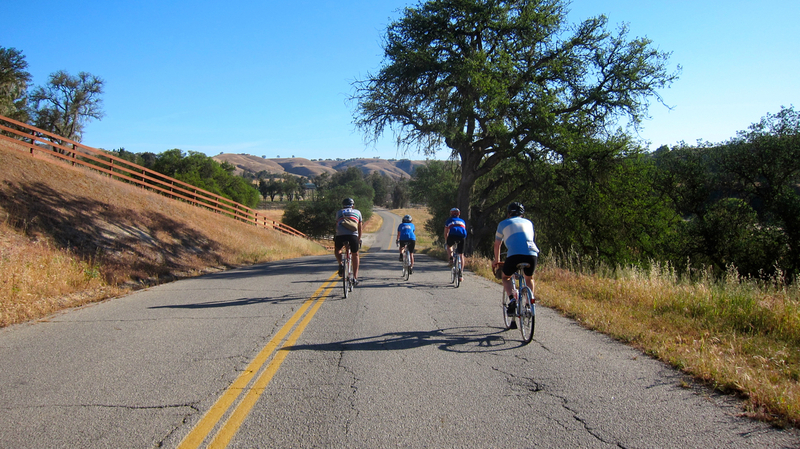 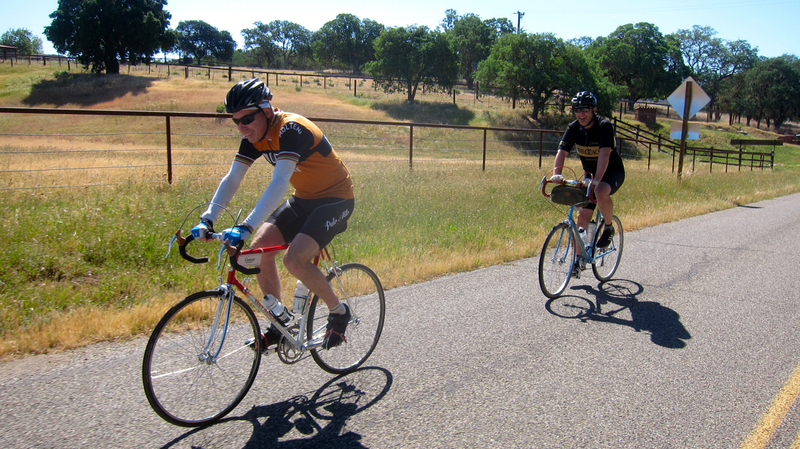 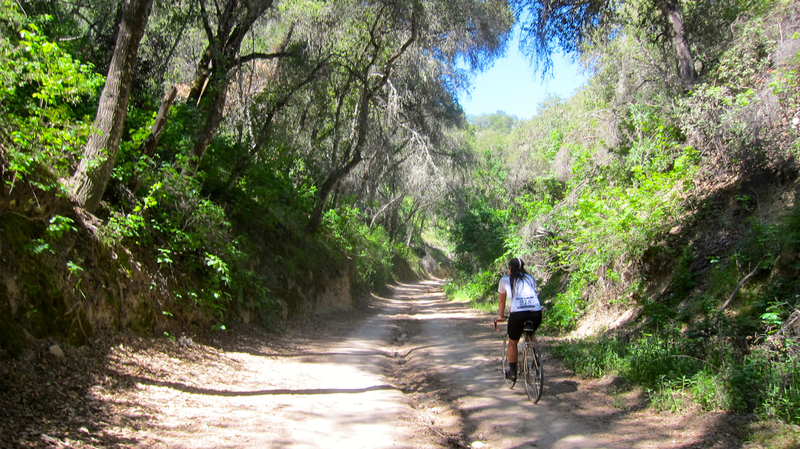 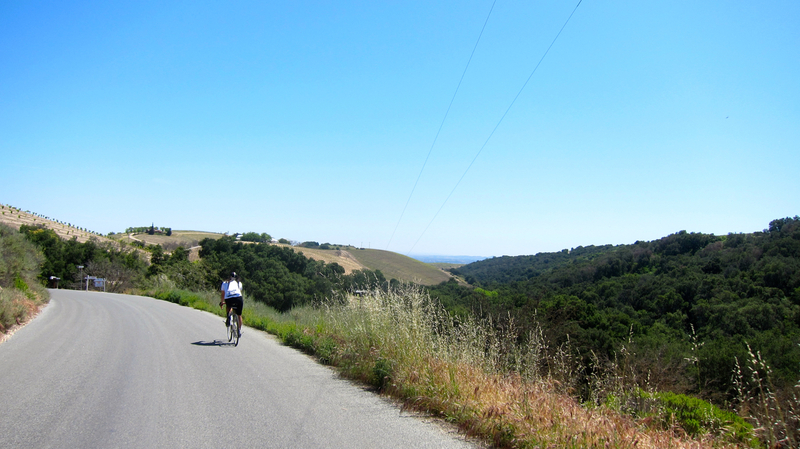 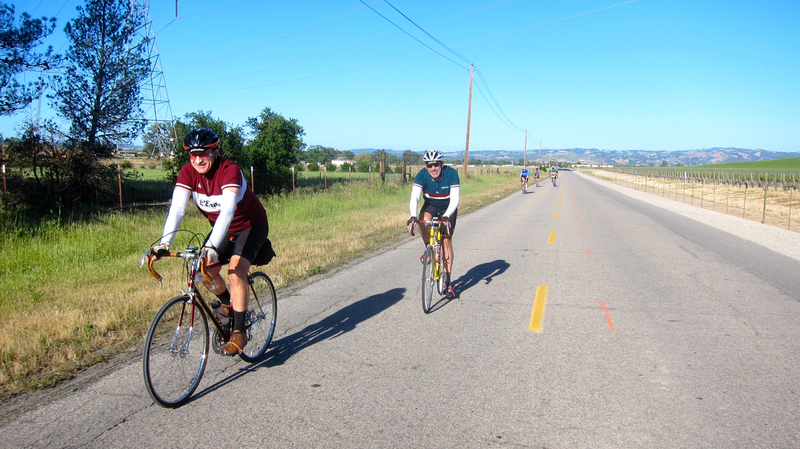 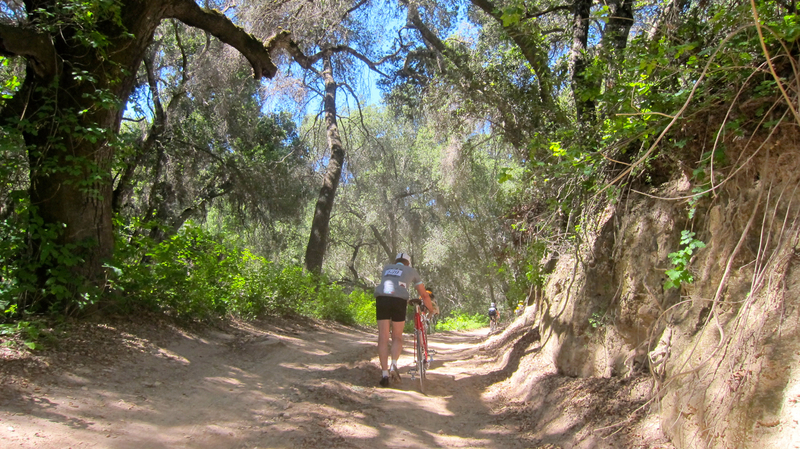 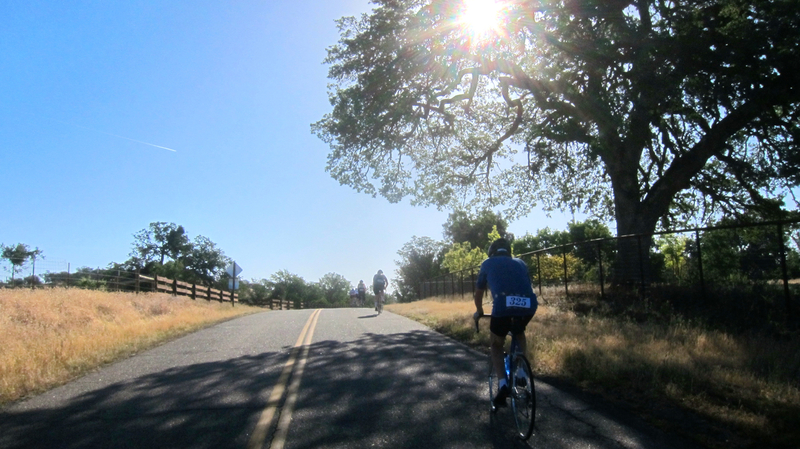 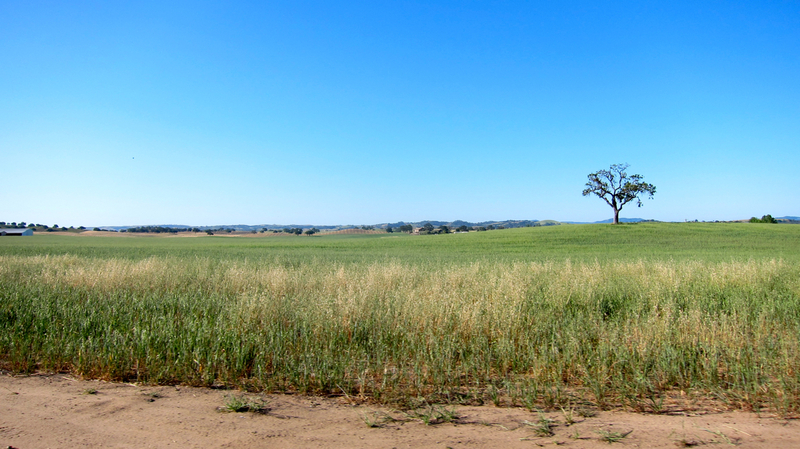 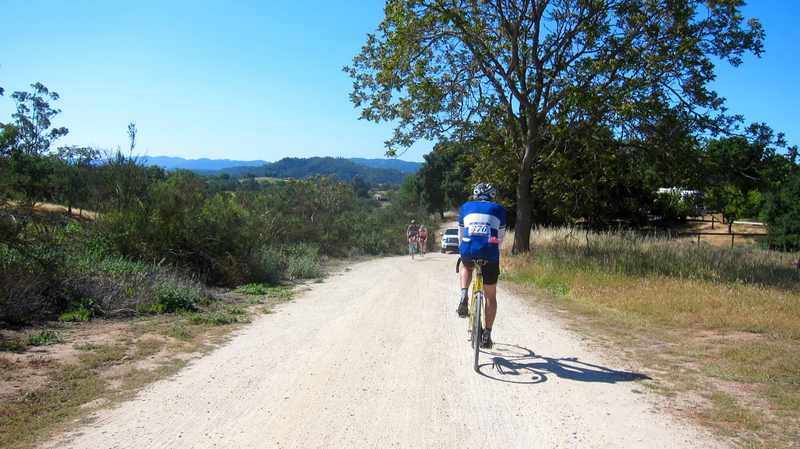 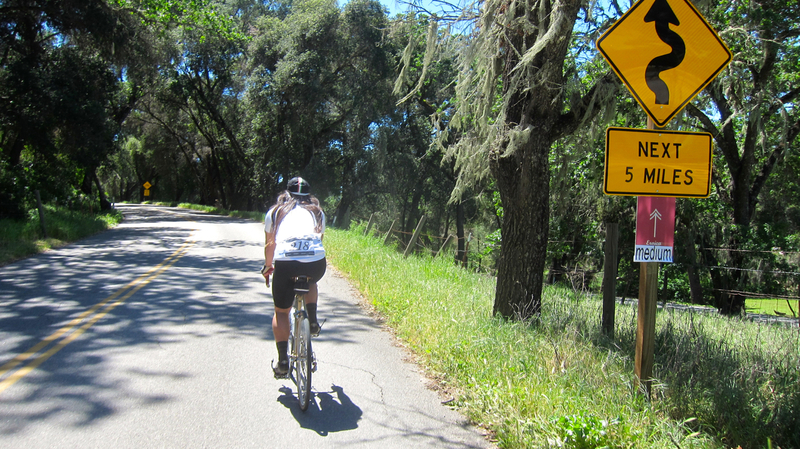 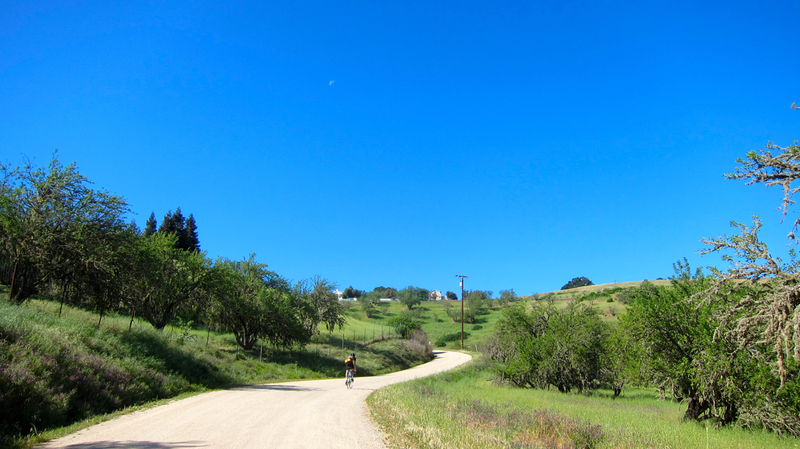 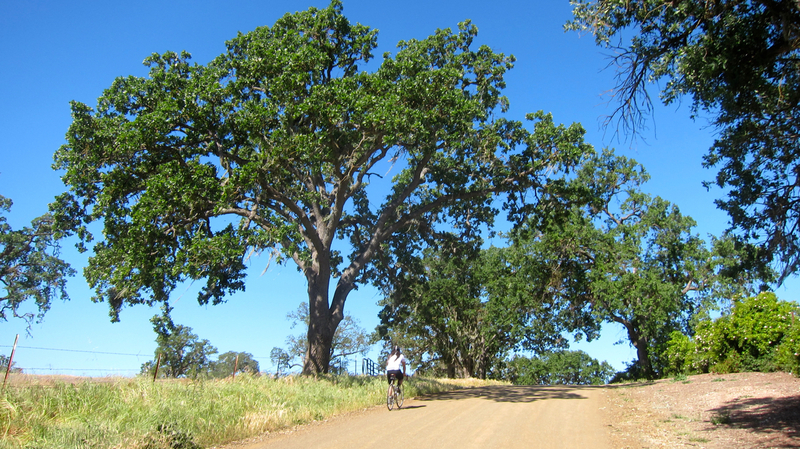 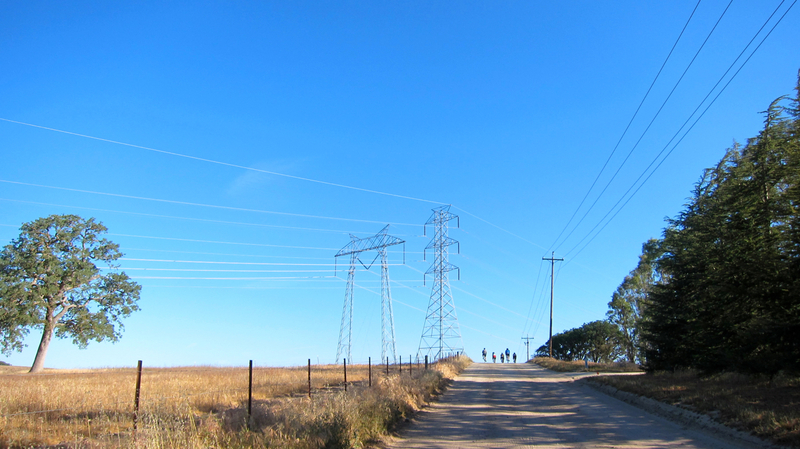 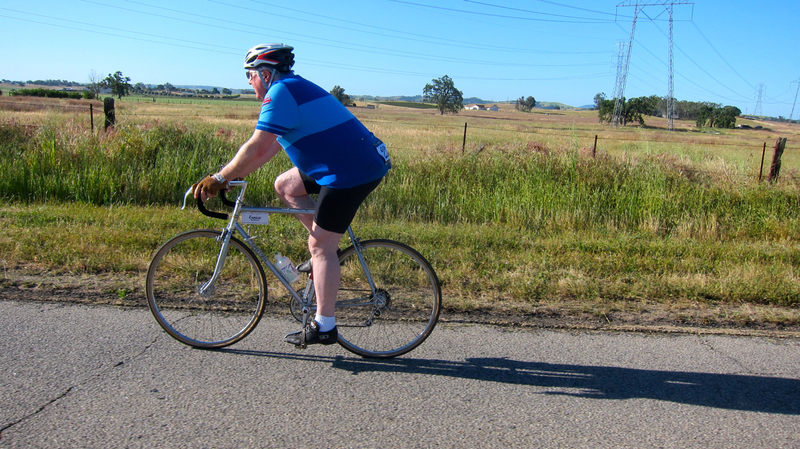 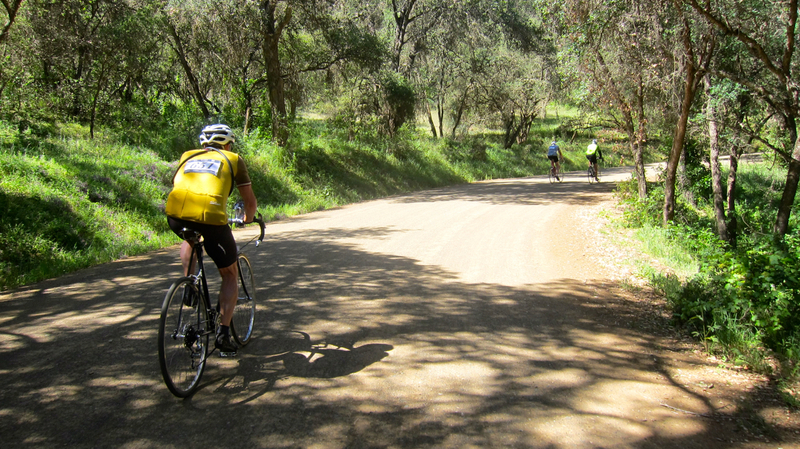 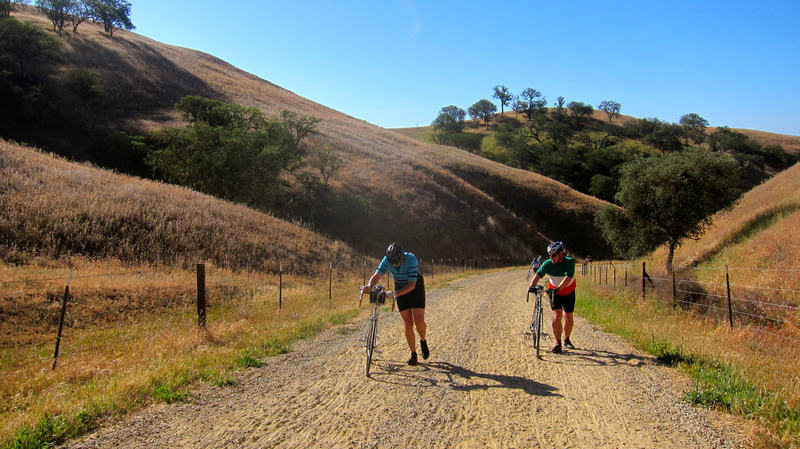 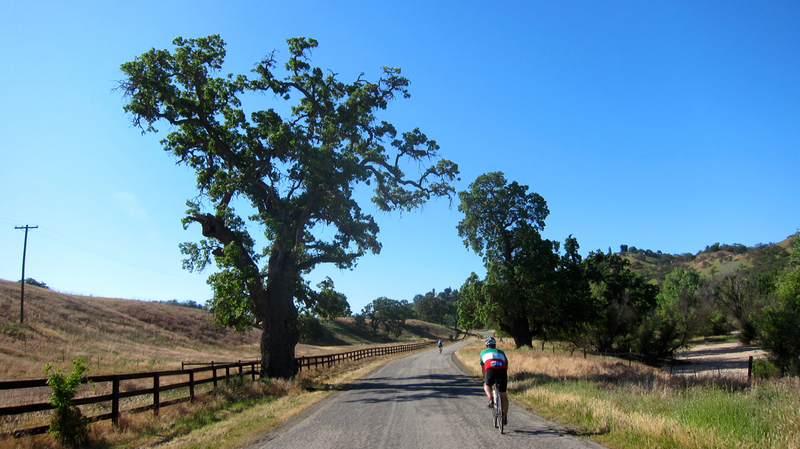 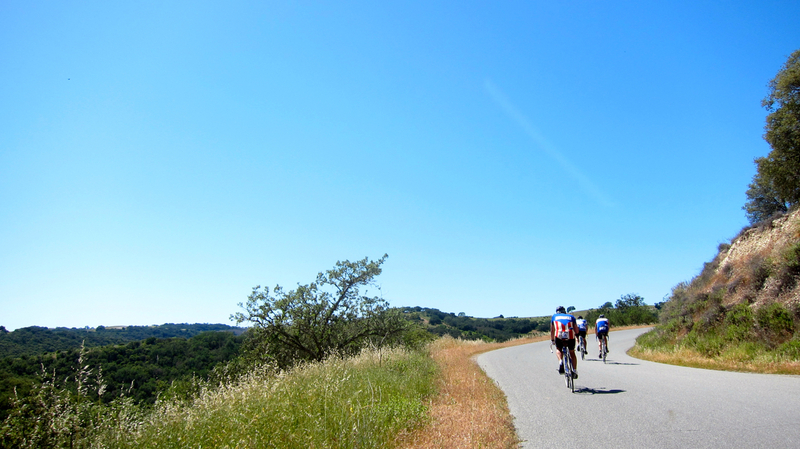 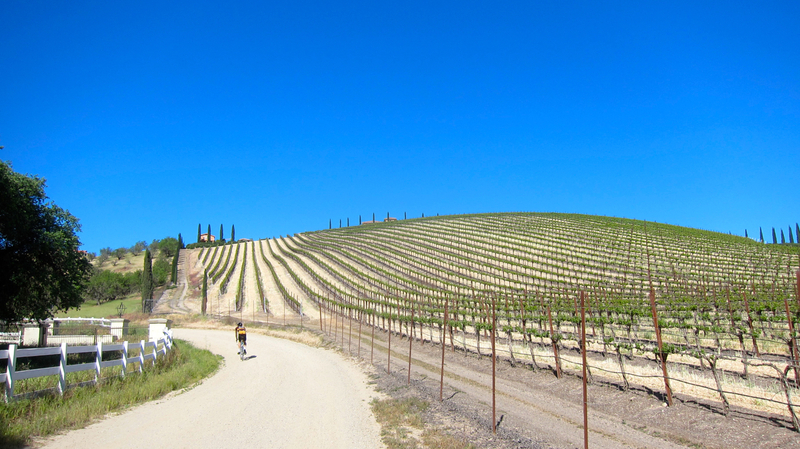 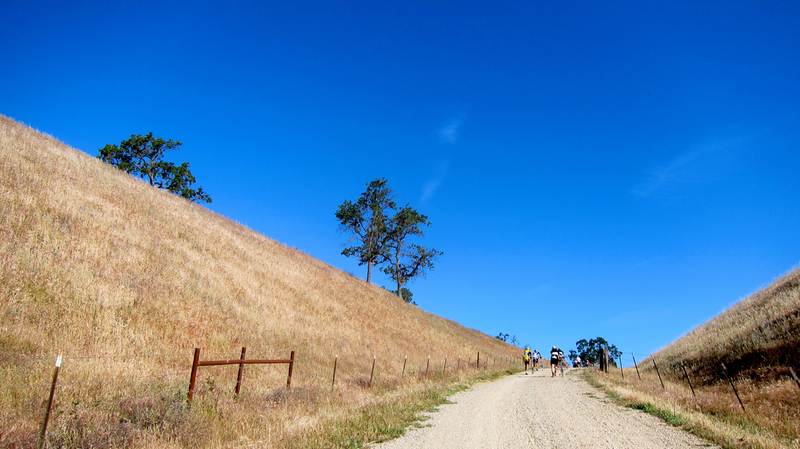 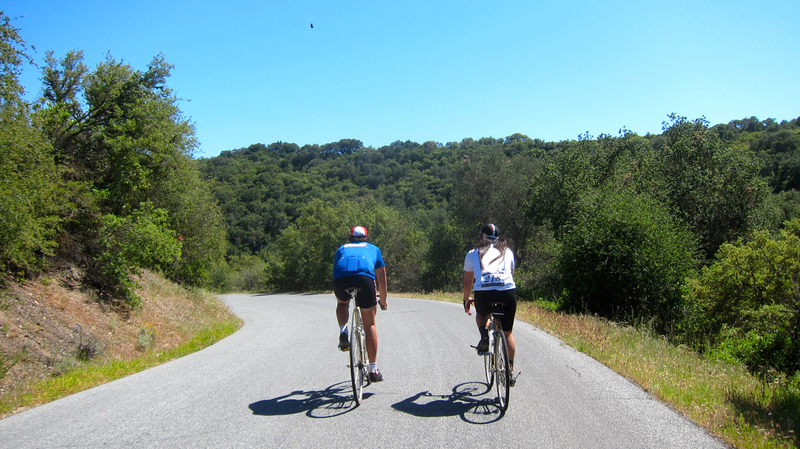 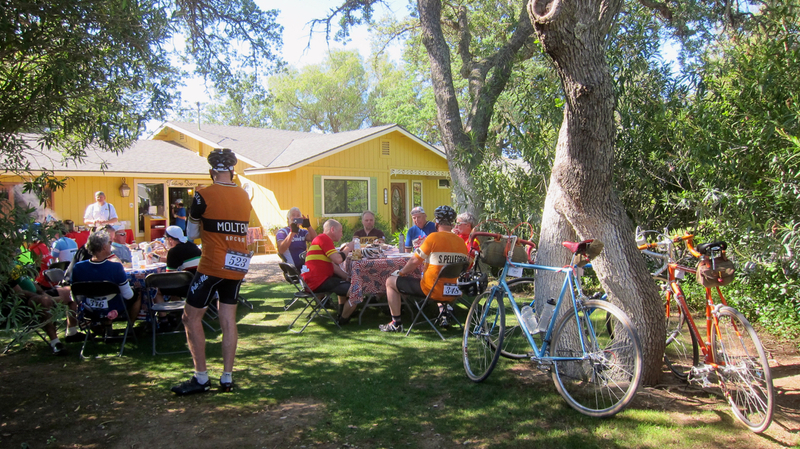 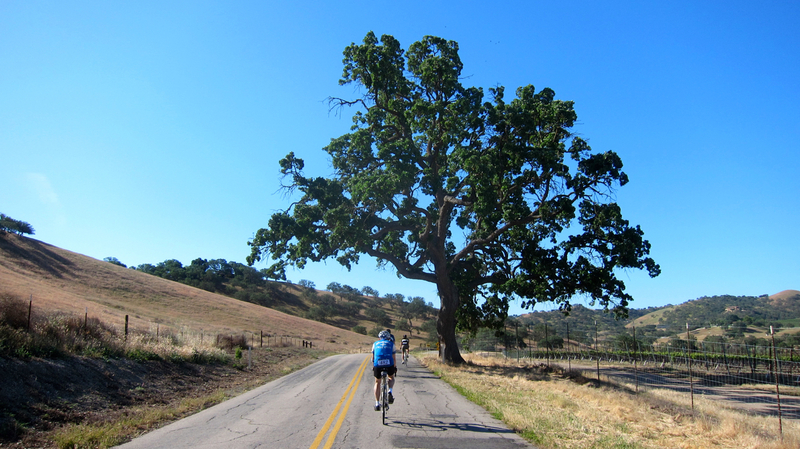 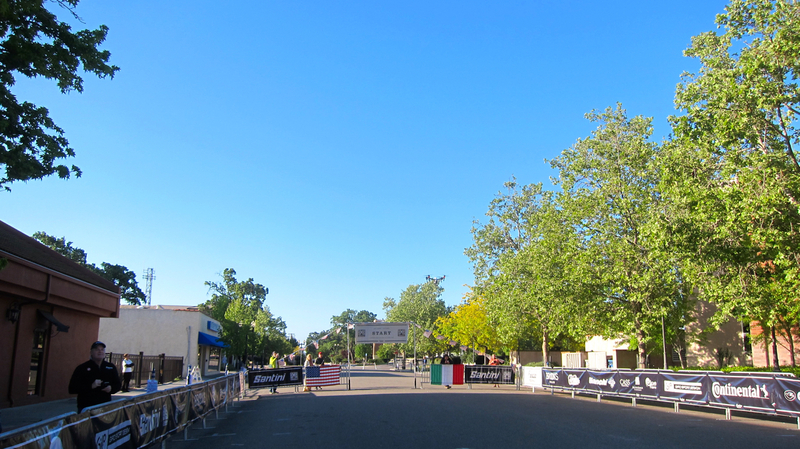 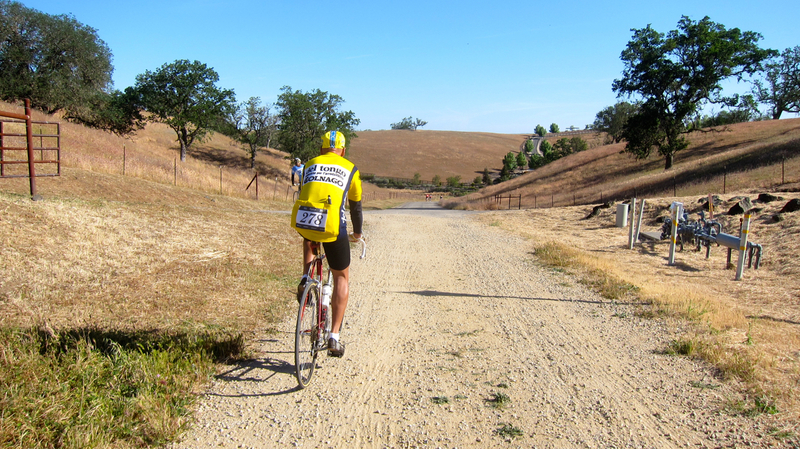 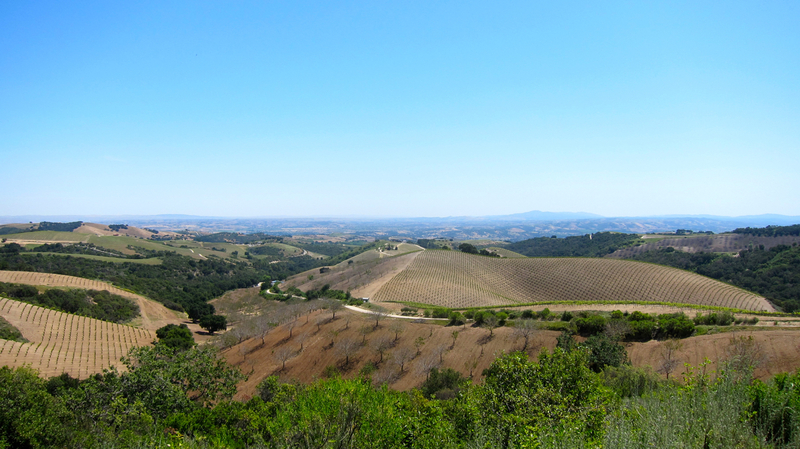 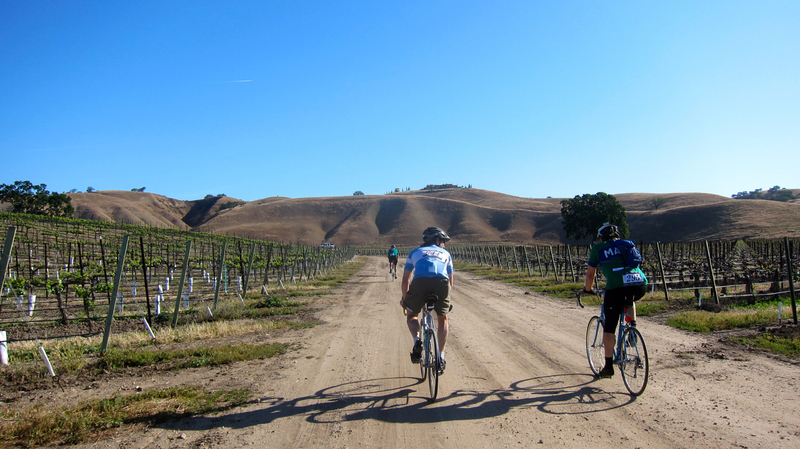 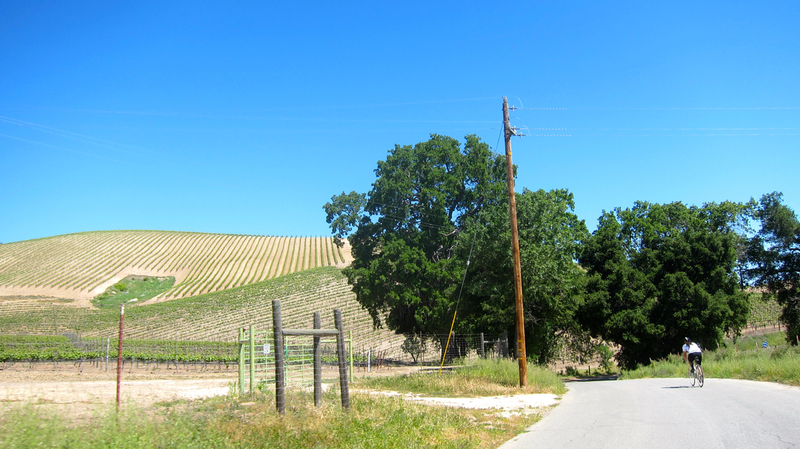 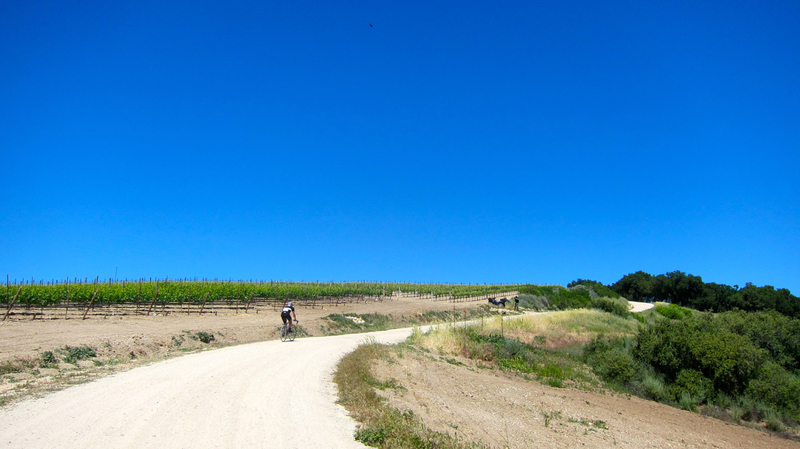 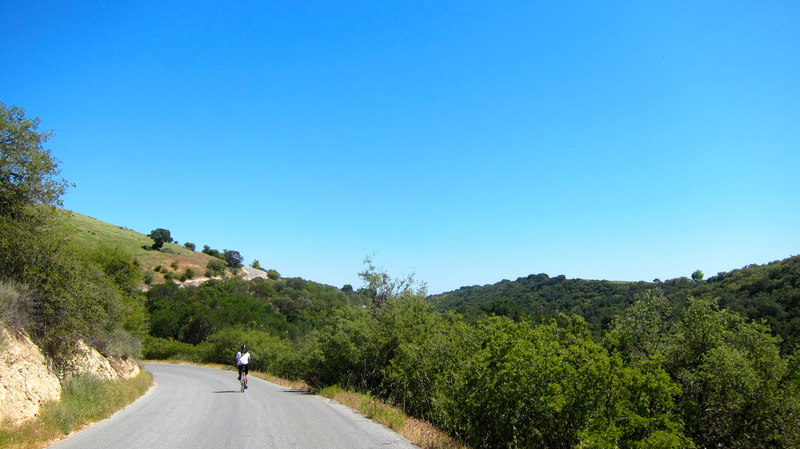 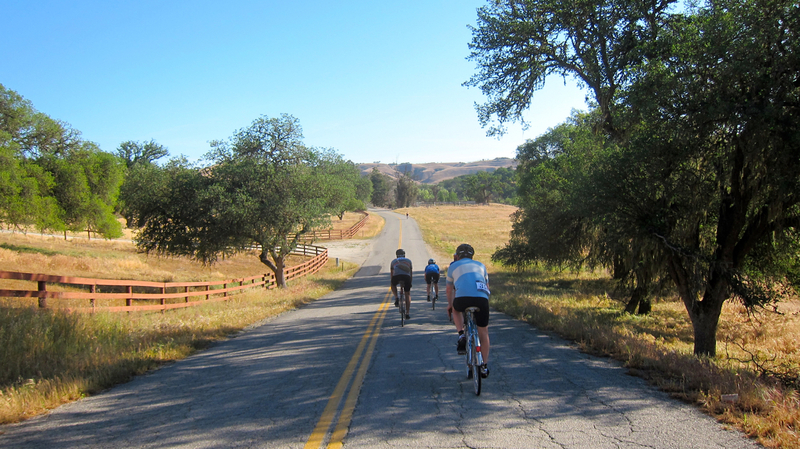 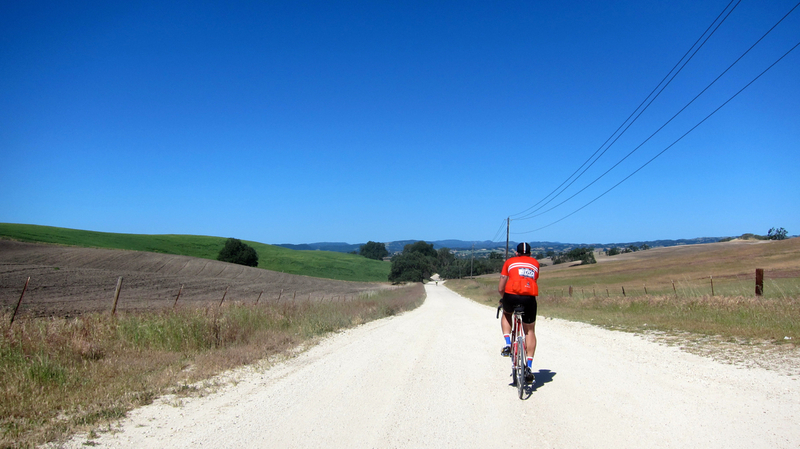 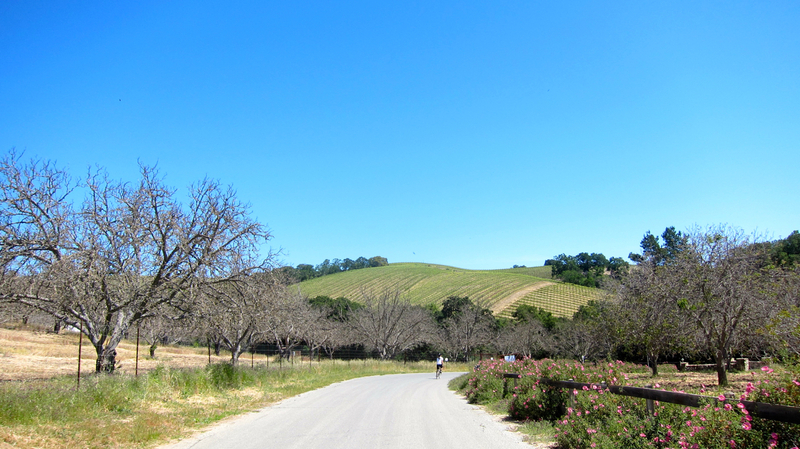 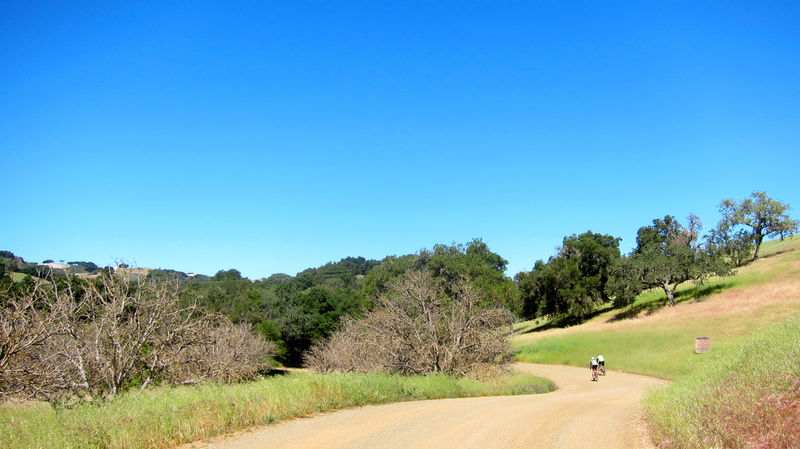 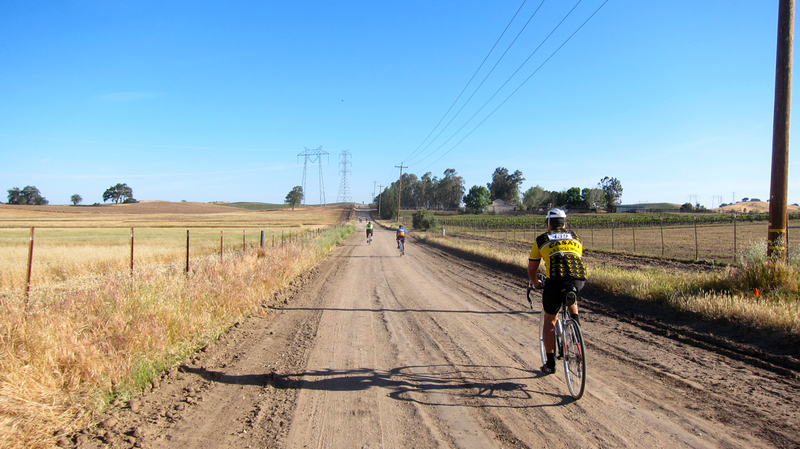 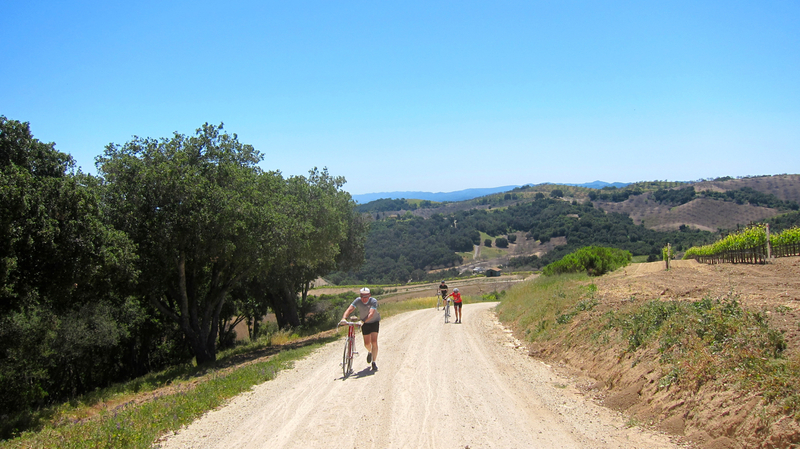 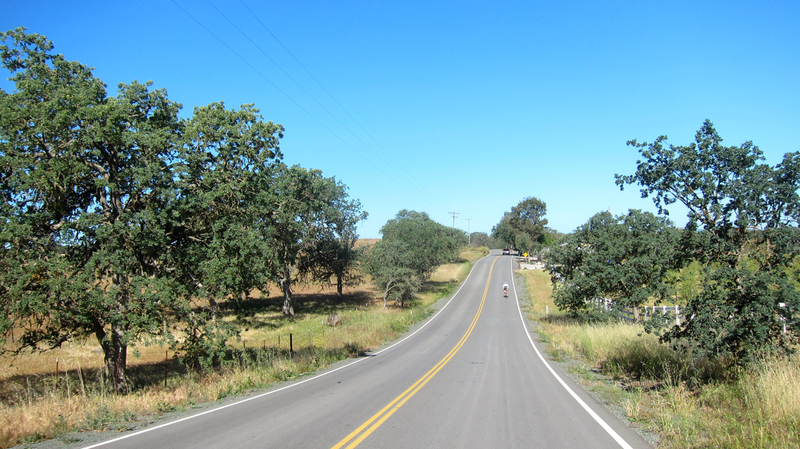 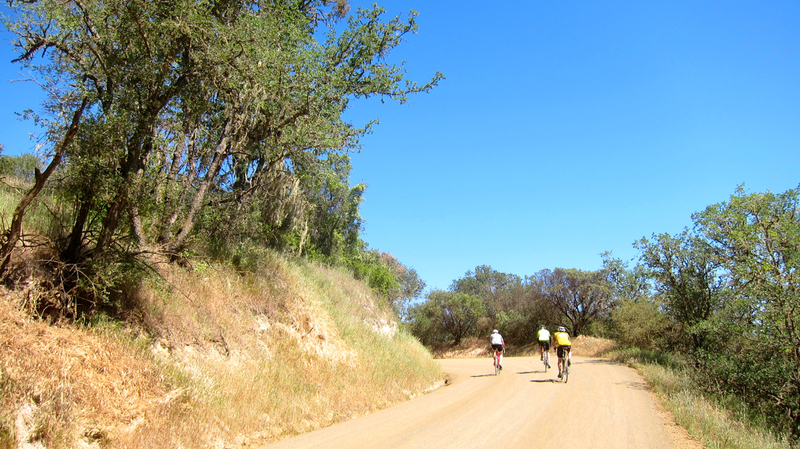 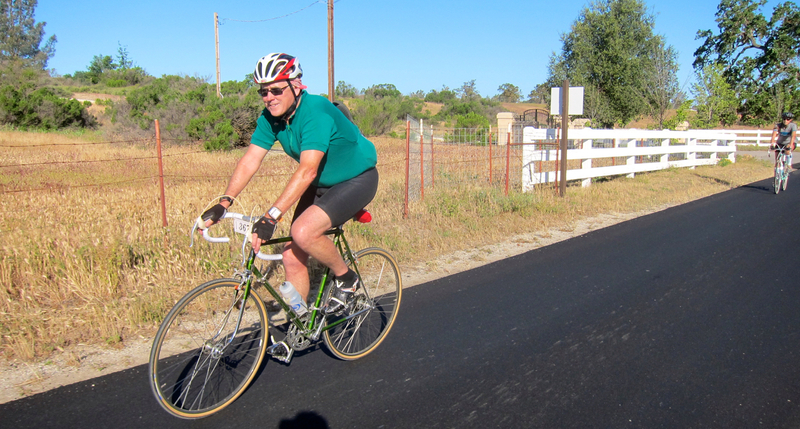 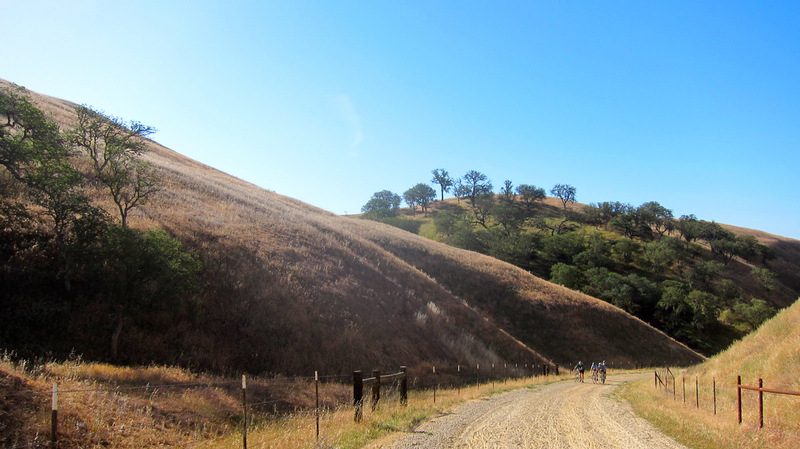 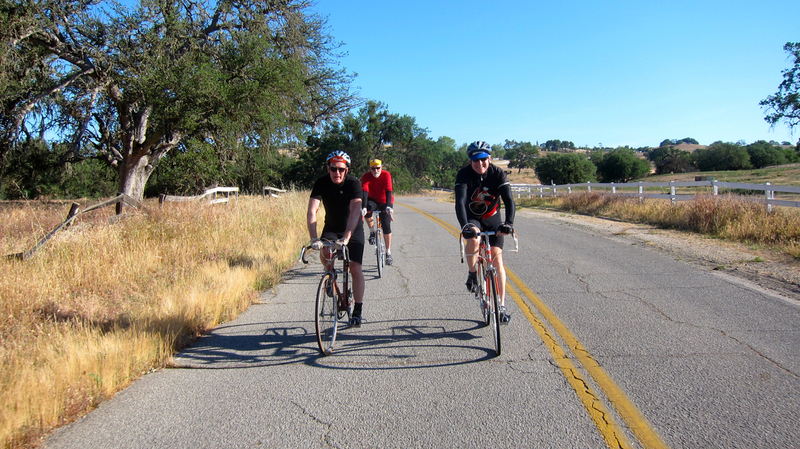 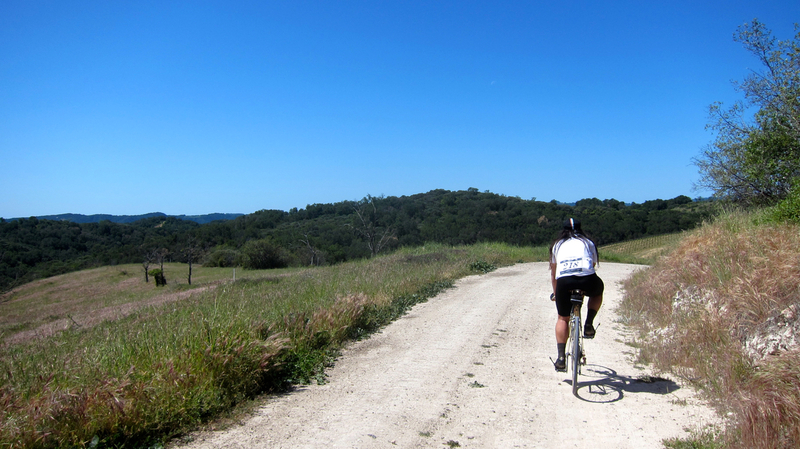 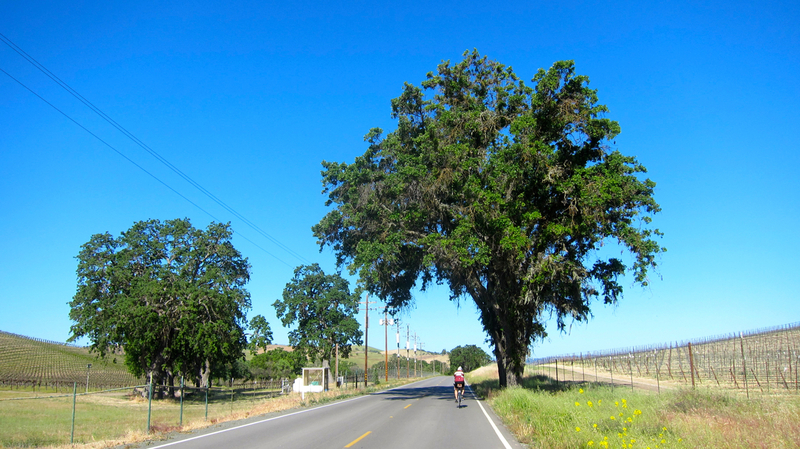 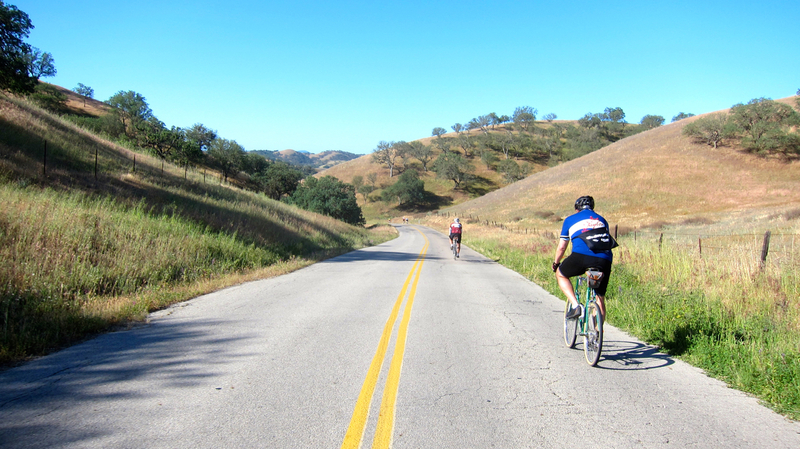 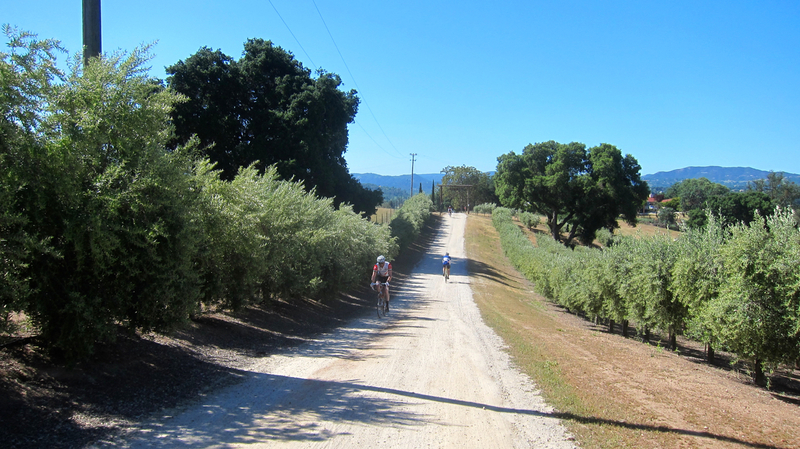 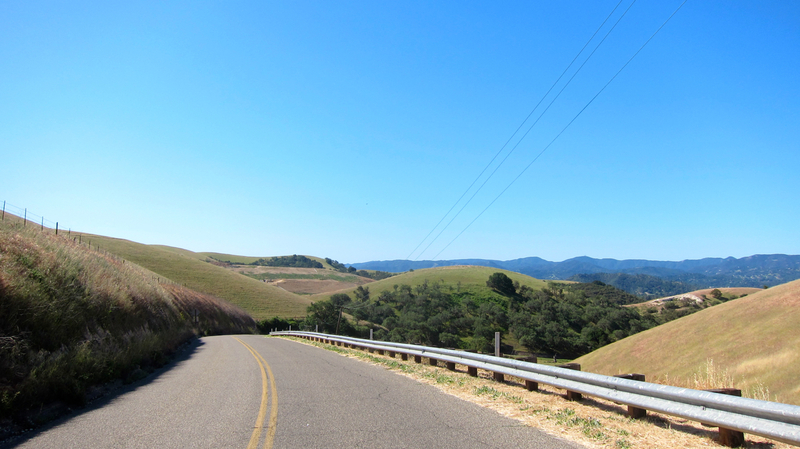 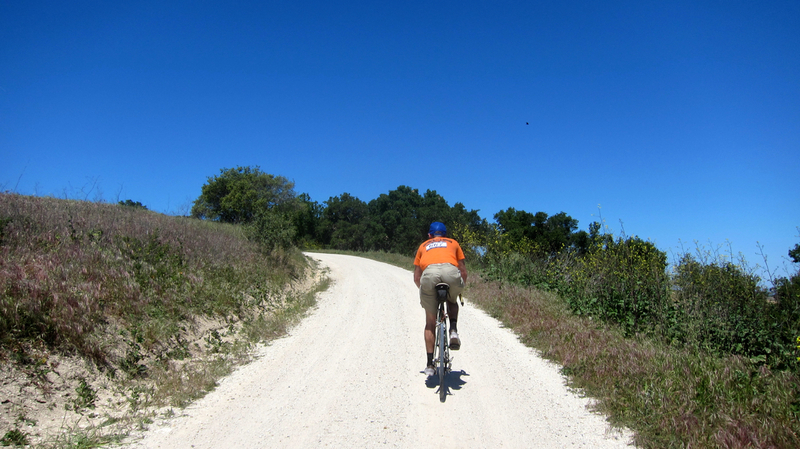 It was a treat to ride in the Paso Robles area and be surrounded by my fellow cycling enthusiasts all weekend.